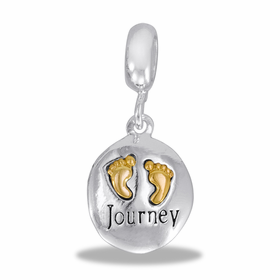 Whether it's her first bracelet, a baby shower gift or just a happy day for a loved one, you've got more options than ever with DaVinci Jewelry. 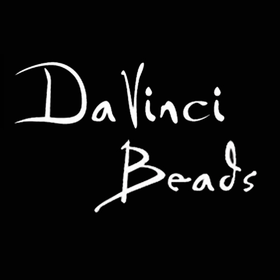 Homemade gifts are possible with this large assortment of DaVinci Beads. 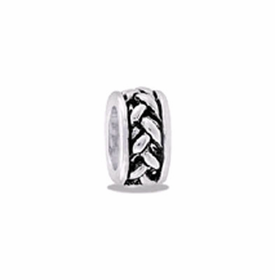 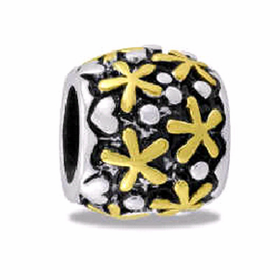 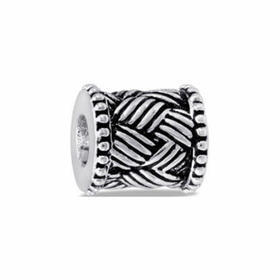 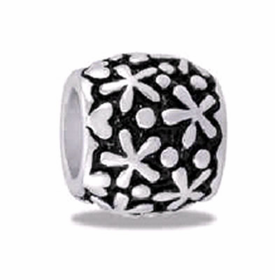 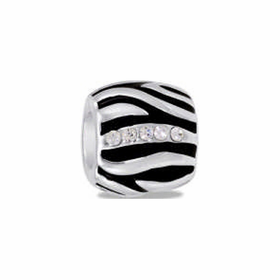 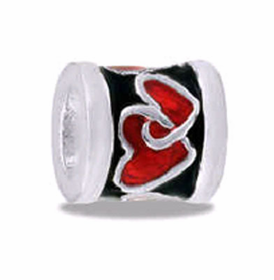 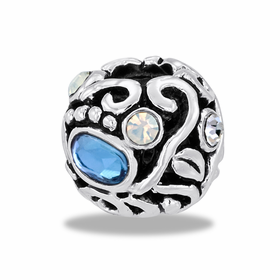 You'll find personalization easy with a selection of colors and metals in beads of unique design. 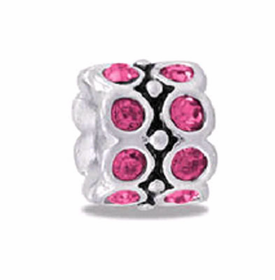 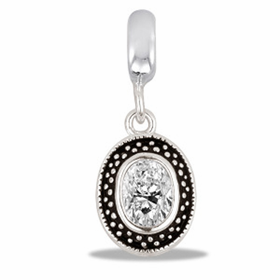 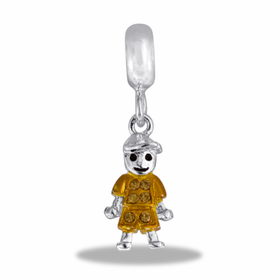 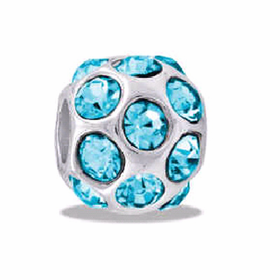 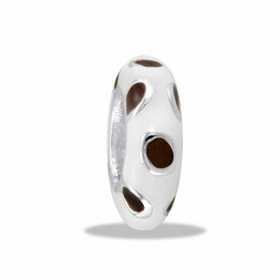 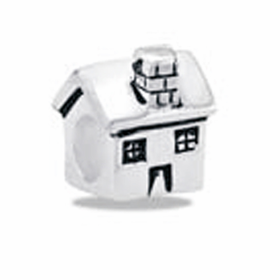 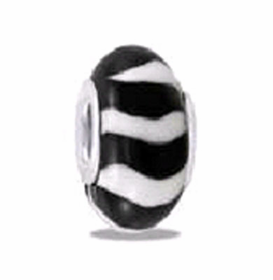 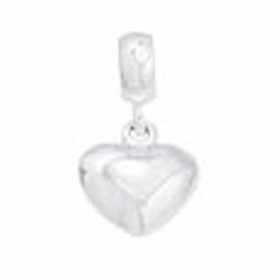 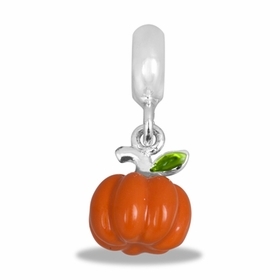 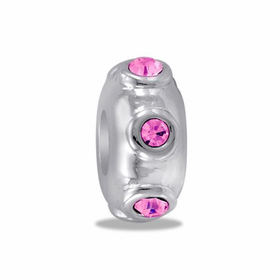 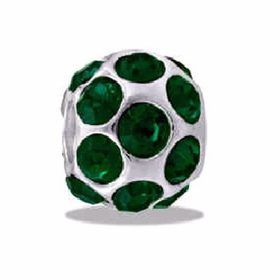 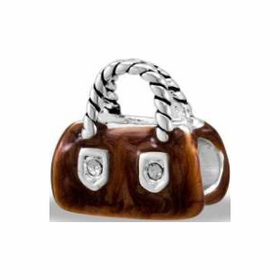 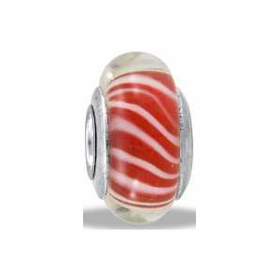 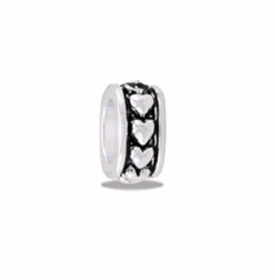 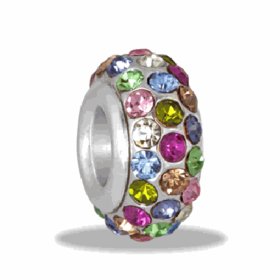 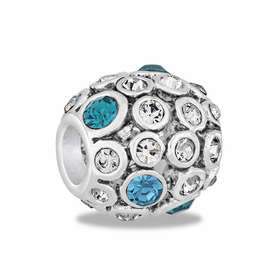 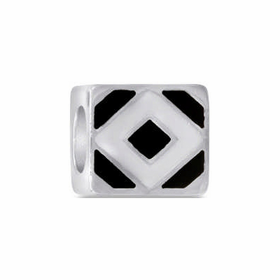 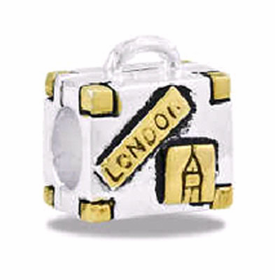 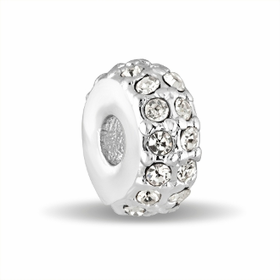 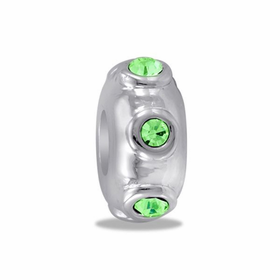 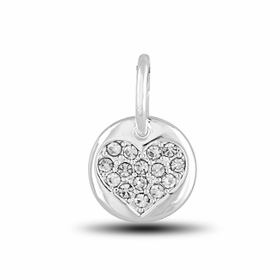 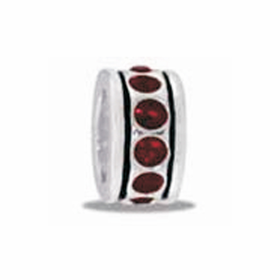 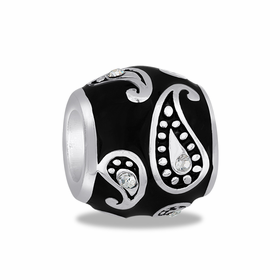 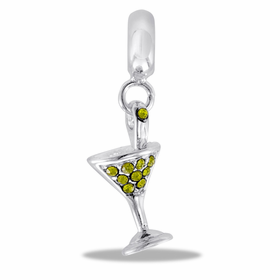 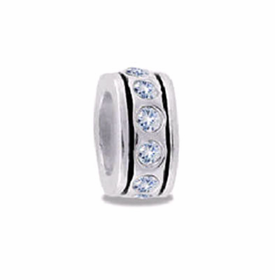 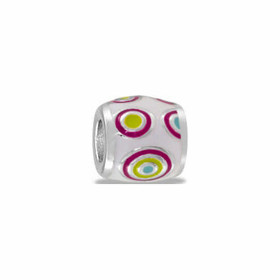 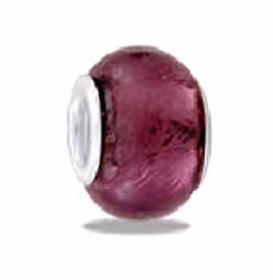 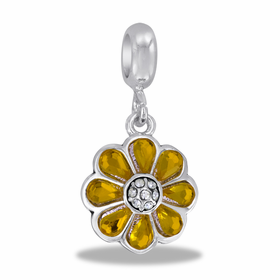 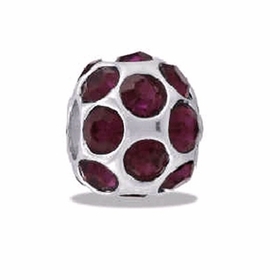 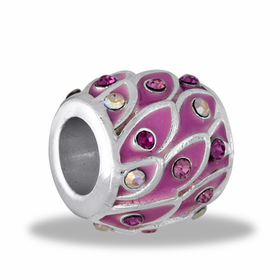 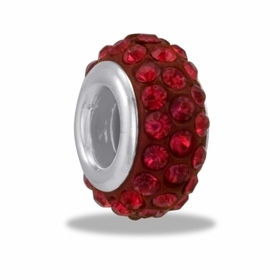 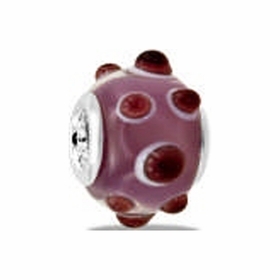 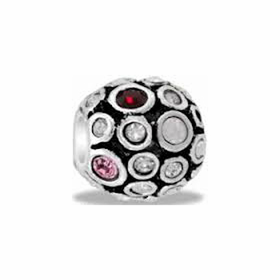 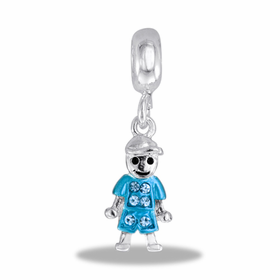 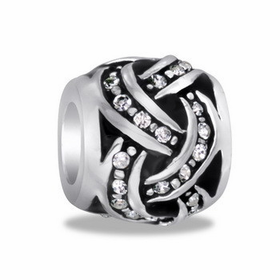 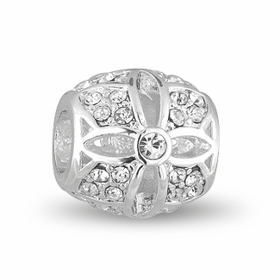 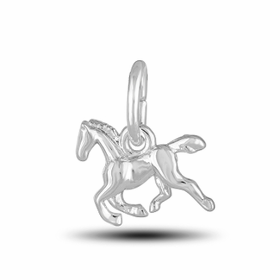 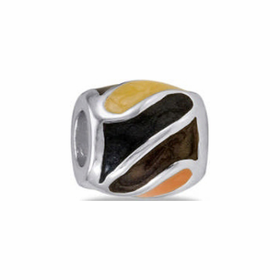 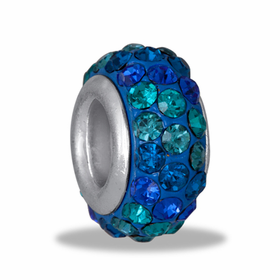 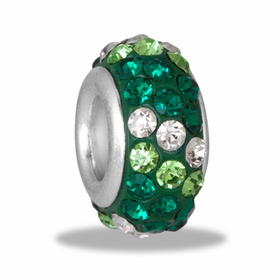 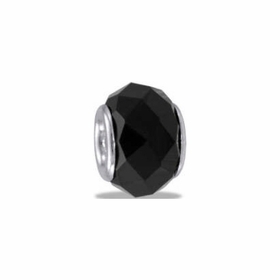 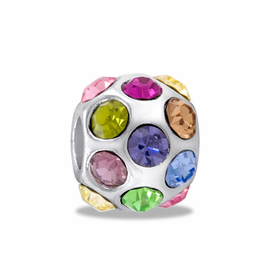 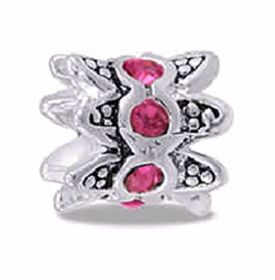 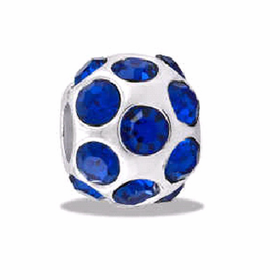 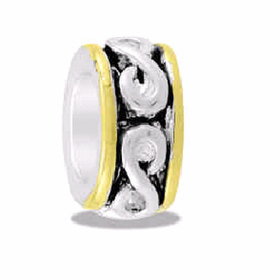 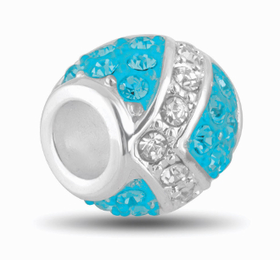 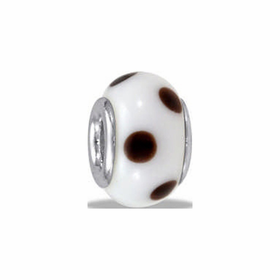 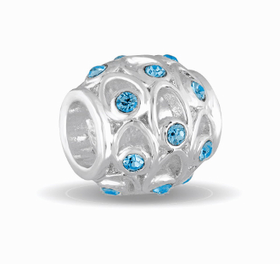 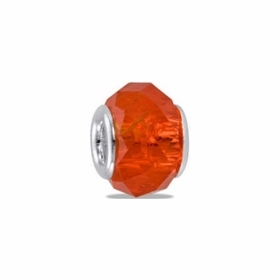 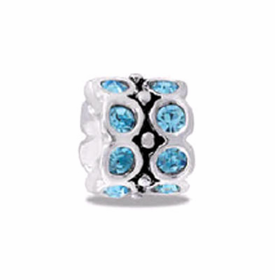 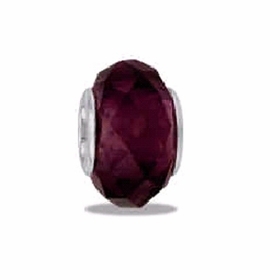 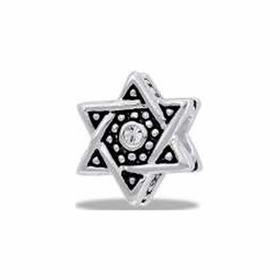 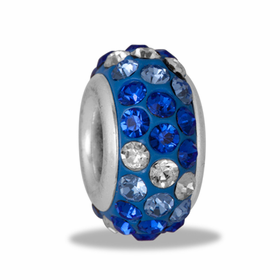 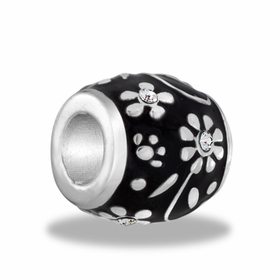 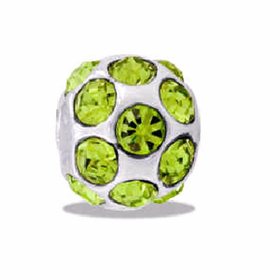 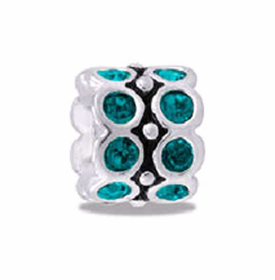 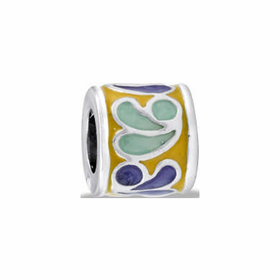 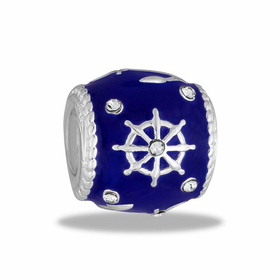 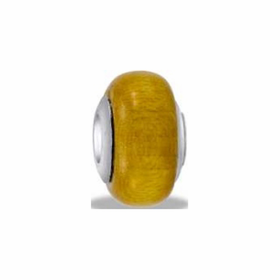 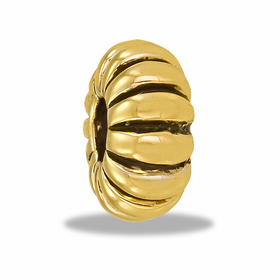 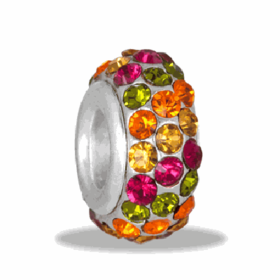 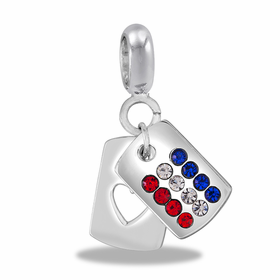 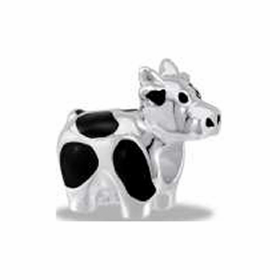 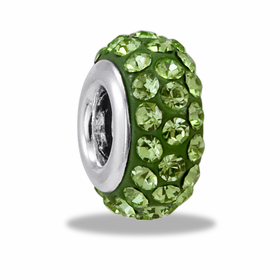 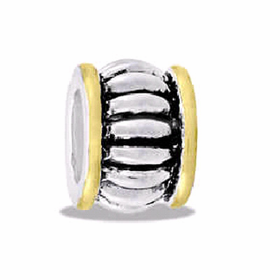 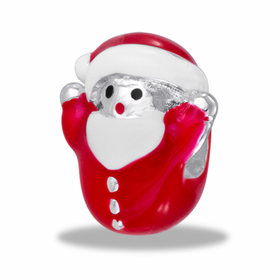 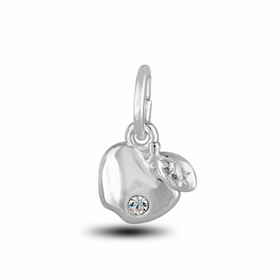 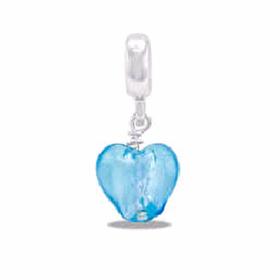 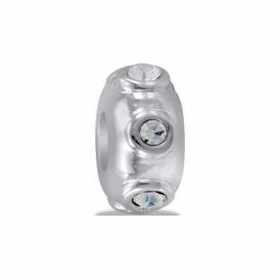 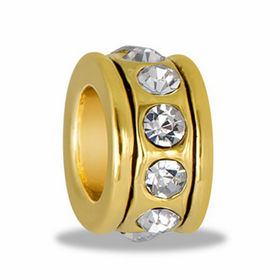 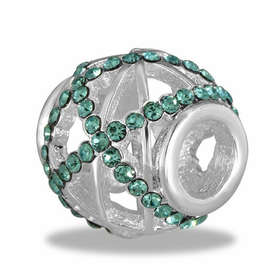 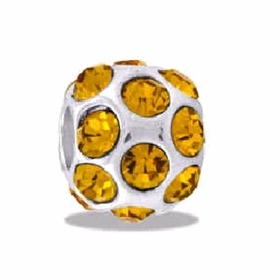 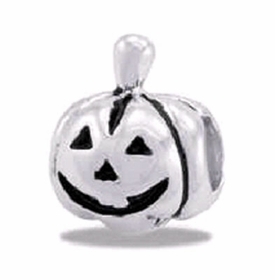 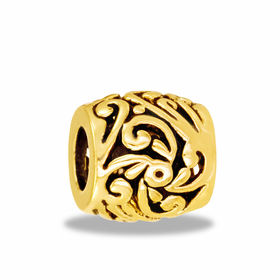 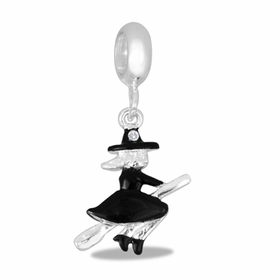 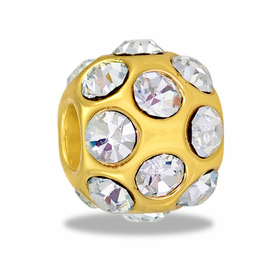 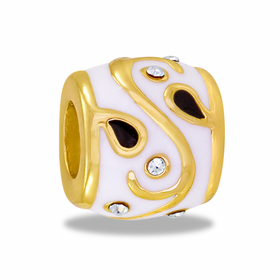 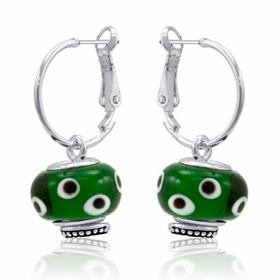 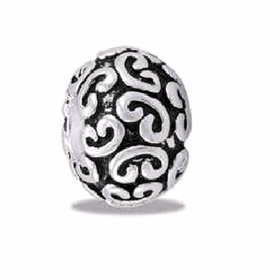 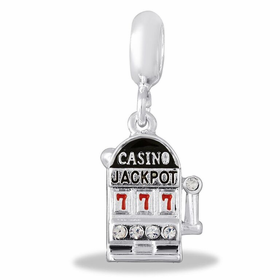 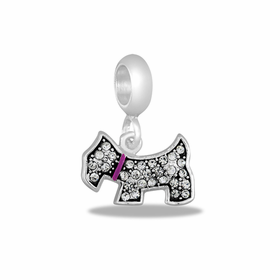 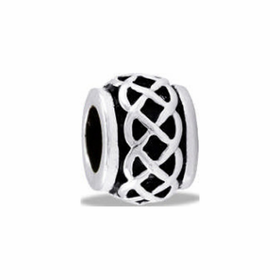 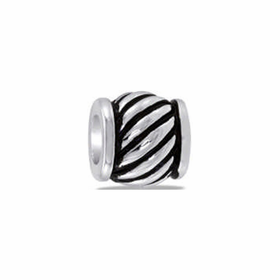 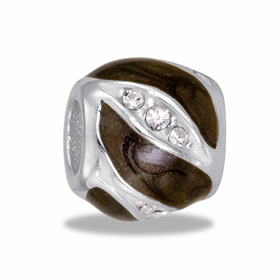 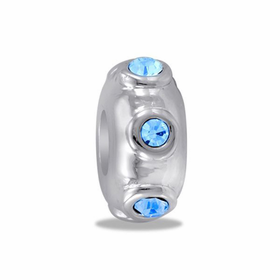 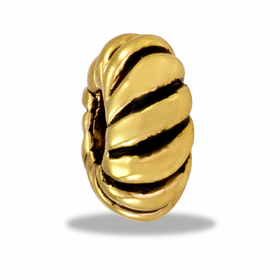 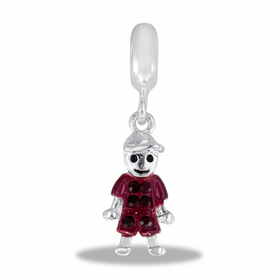 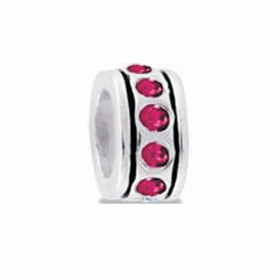 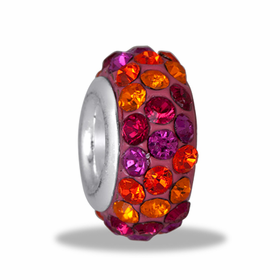 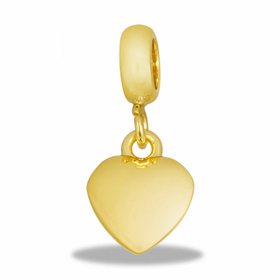 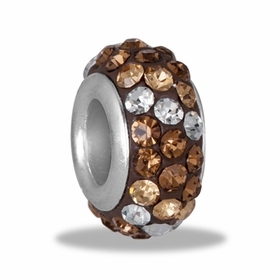 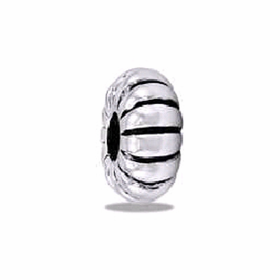 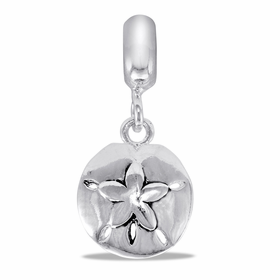 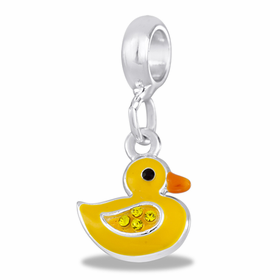 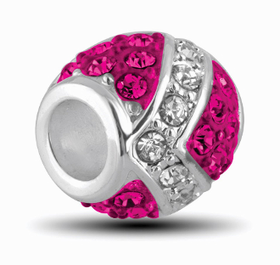 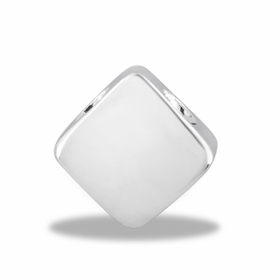 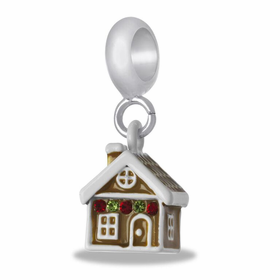 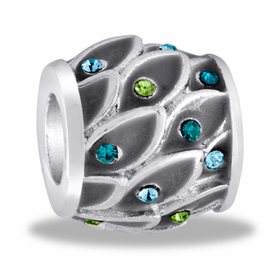 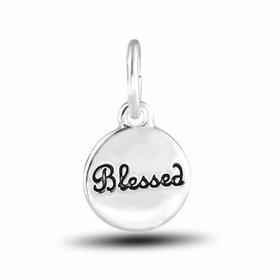 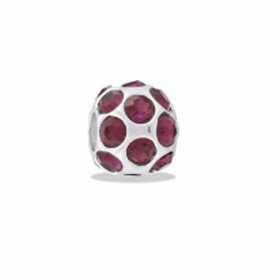 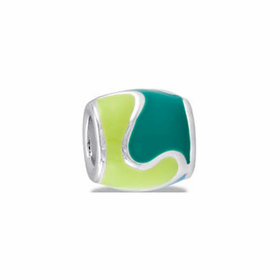 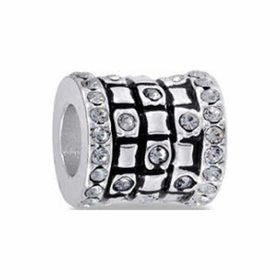 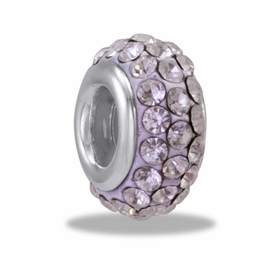 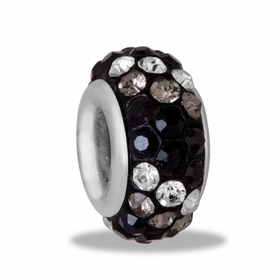 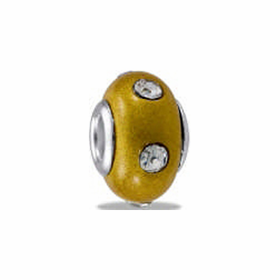 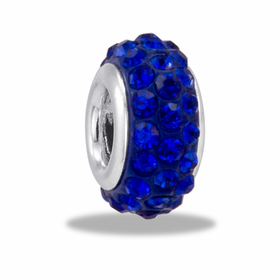 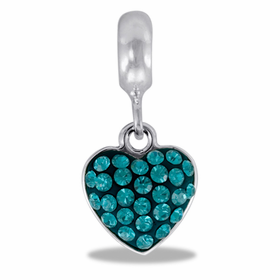 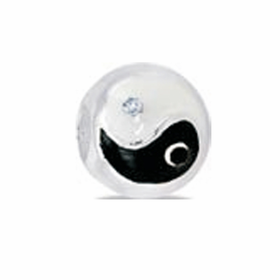 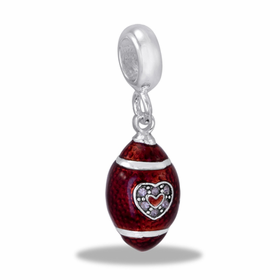 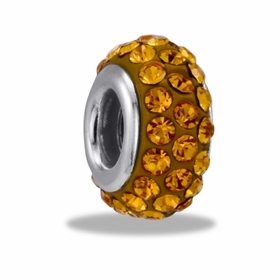 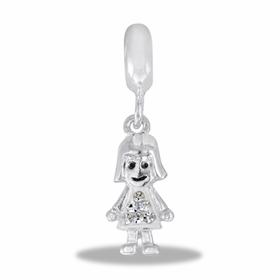 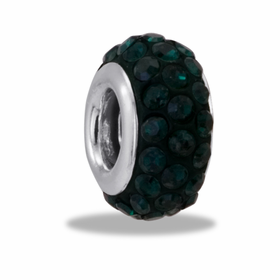 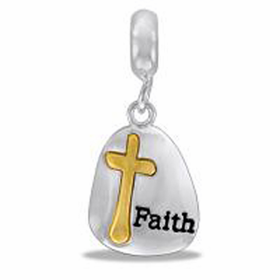 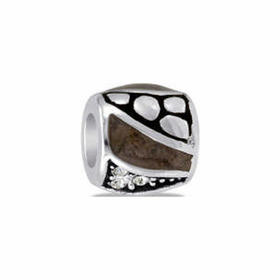 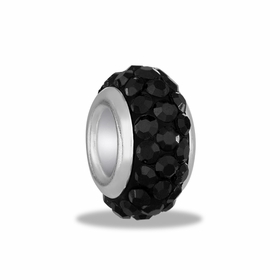 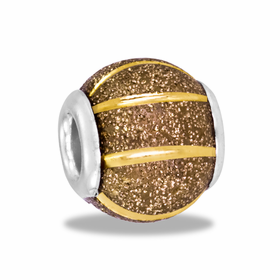 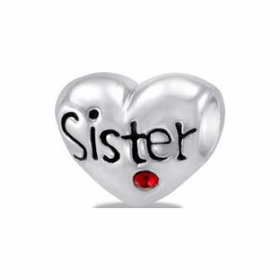 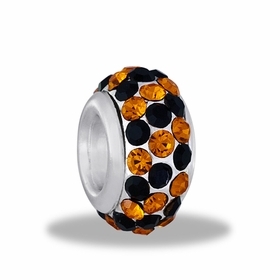 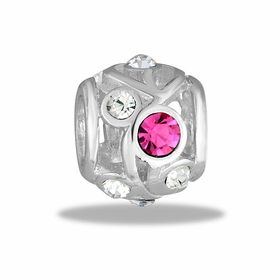 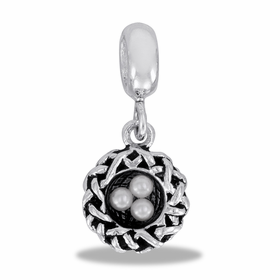 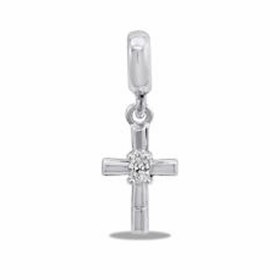 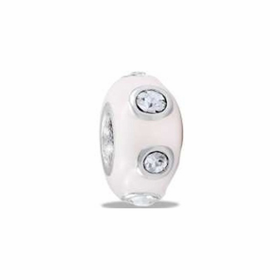 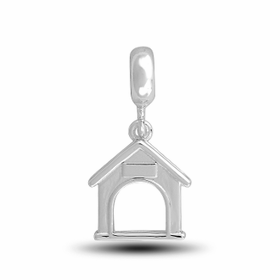 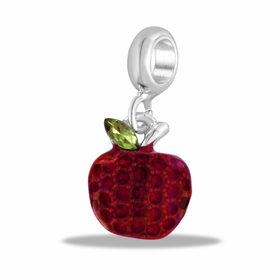 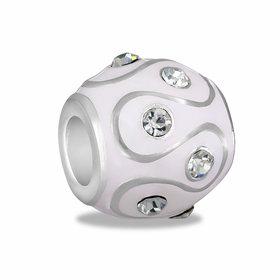 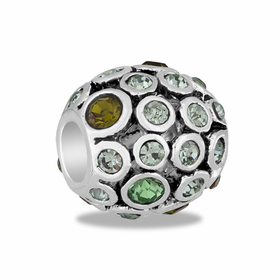 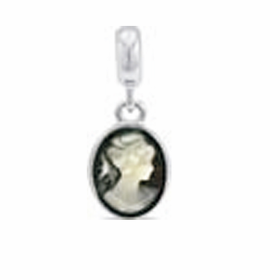 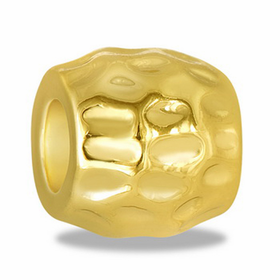 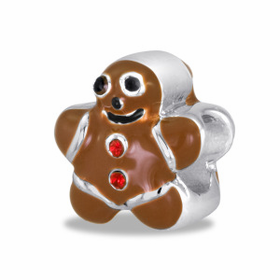 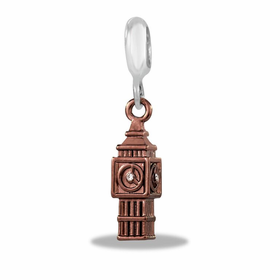 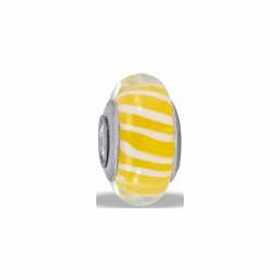 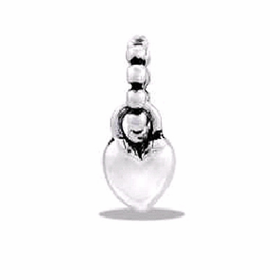 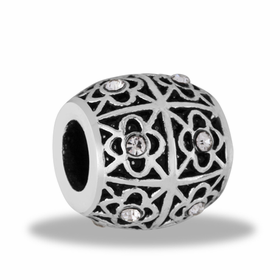 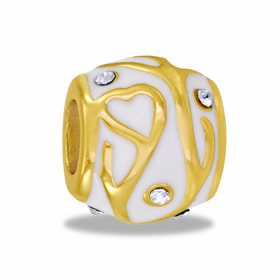 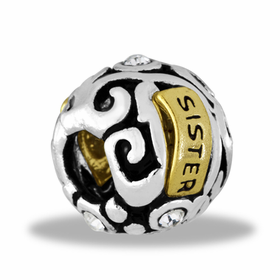 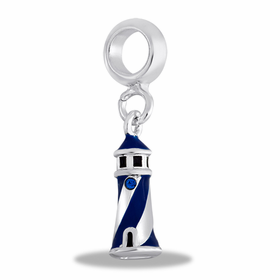 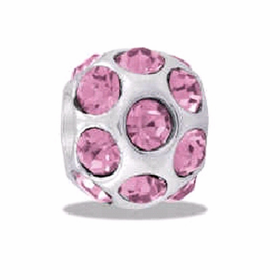 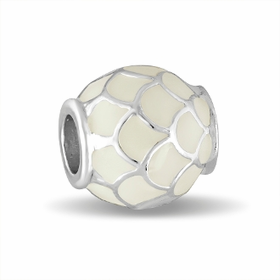 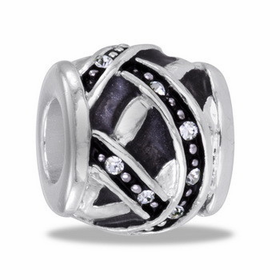 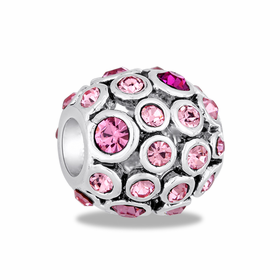 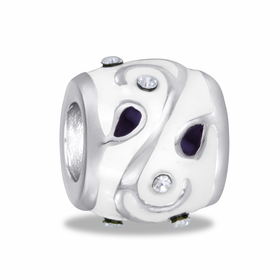 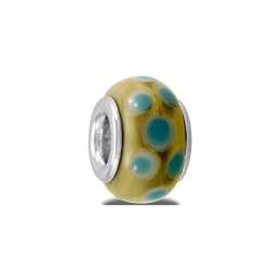 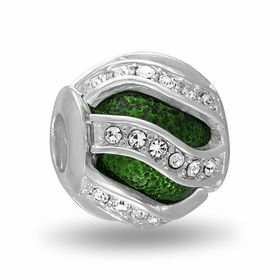 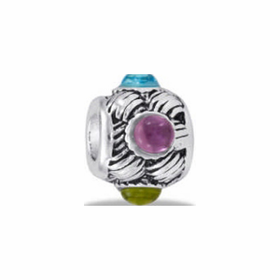 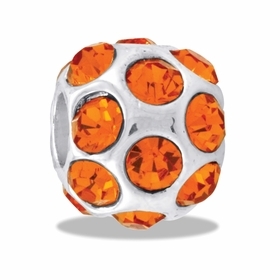 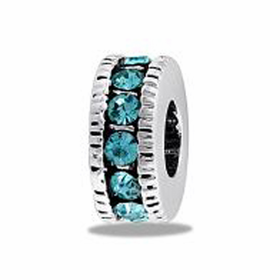 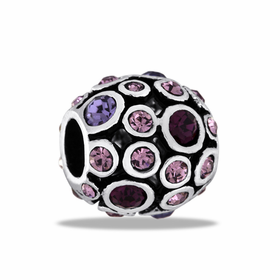 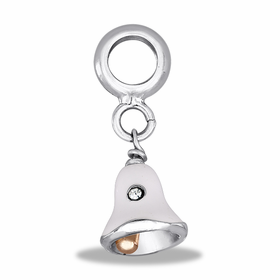 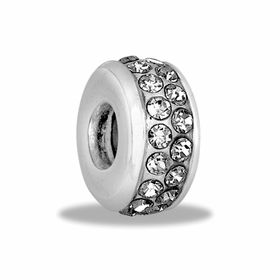 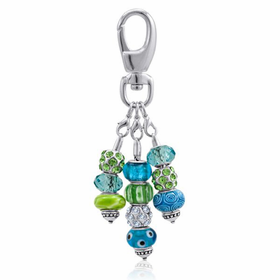 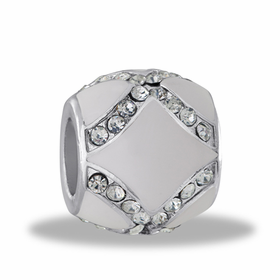 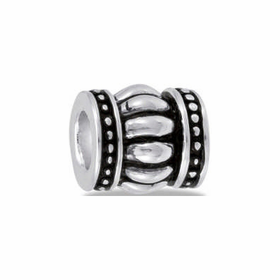 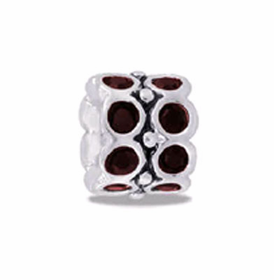 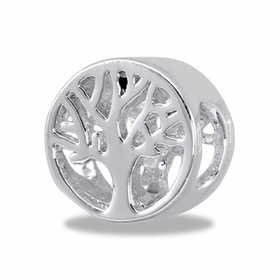 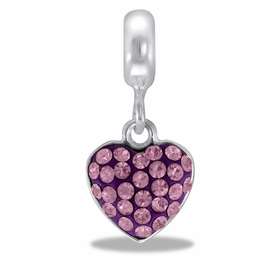 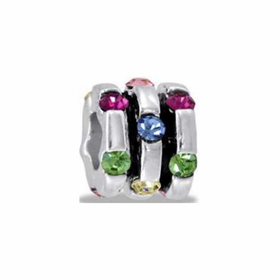 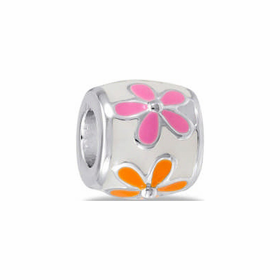 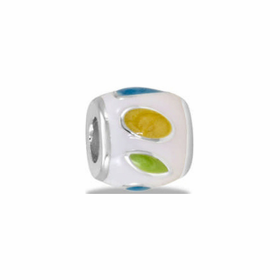 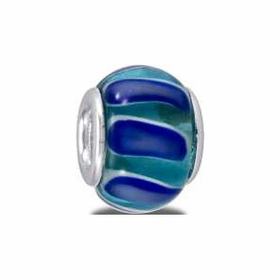 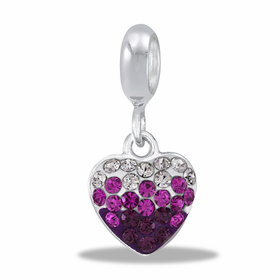 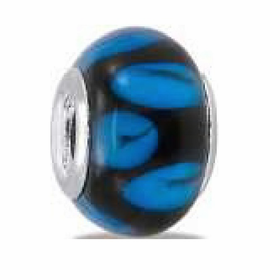 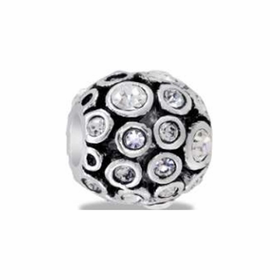 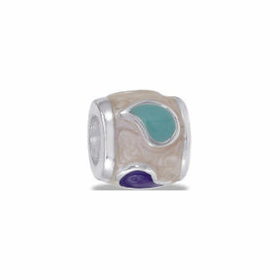 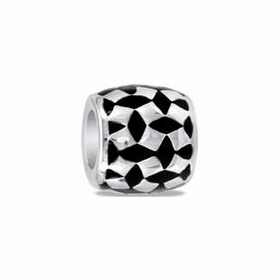 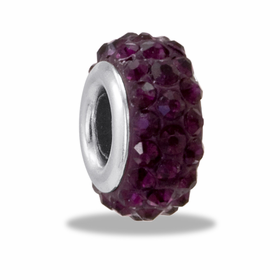 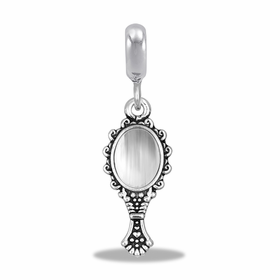 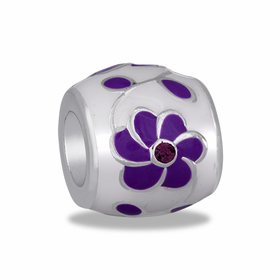 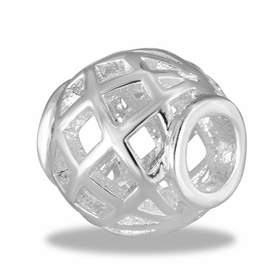 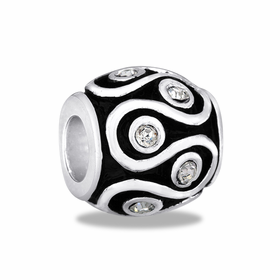 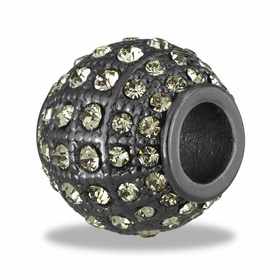 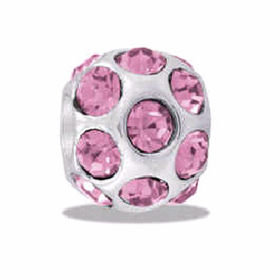 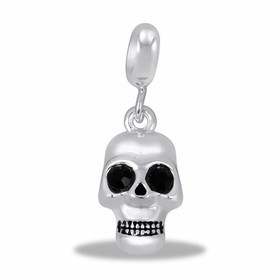 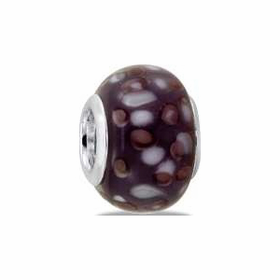 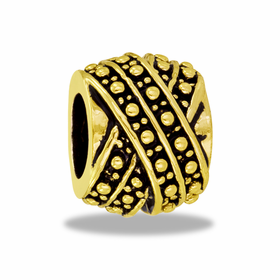 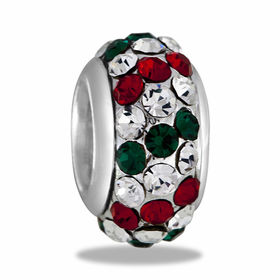 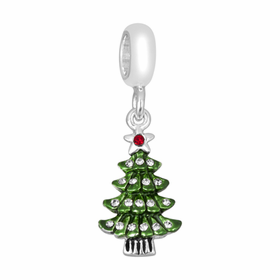 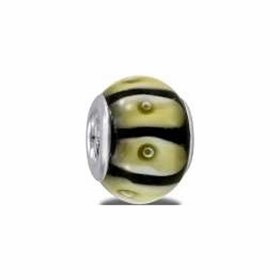 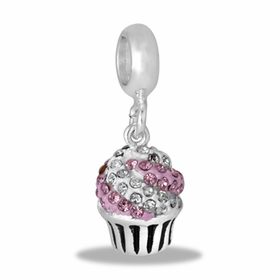 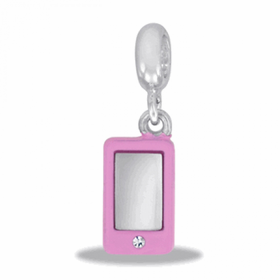 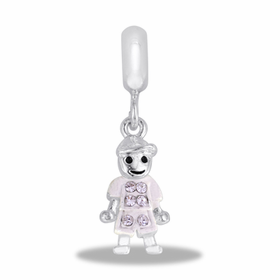 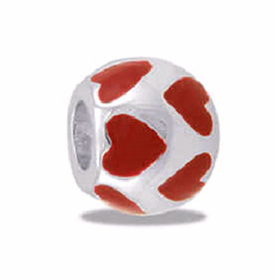 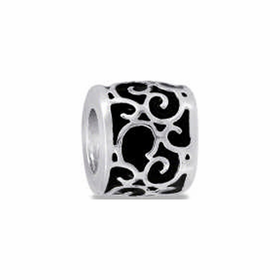 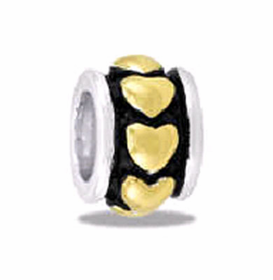 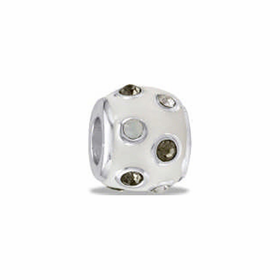 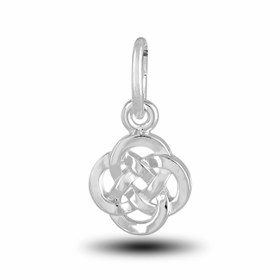 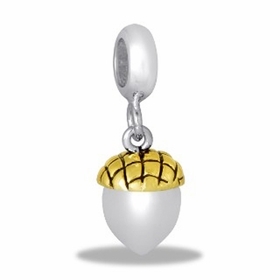 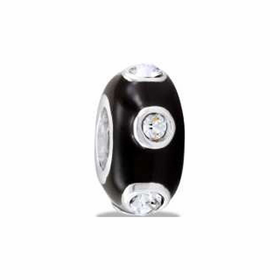 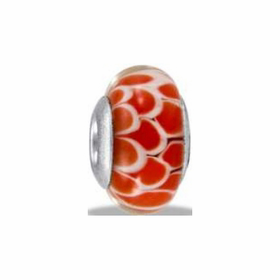 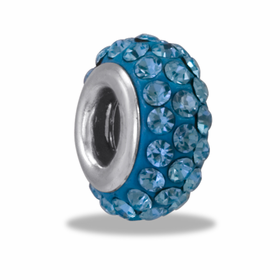 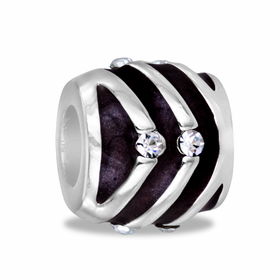 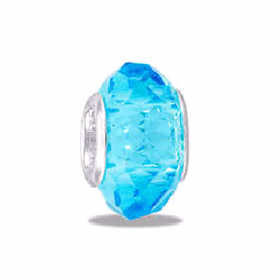 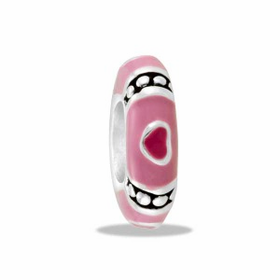 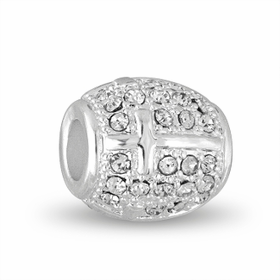 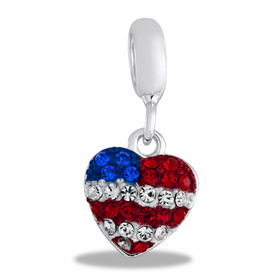 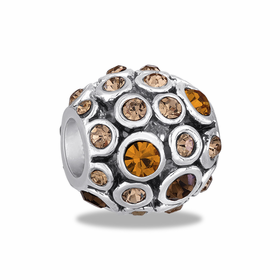 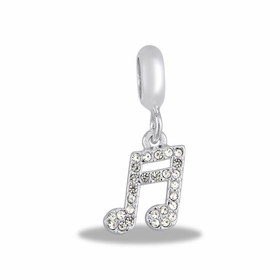 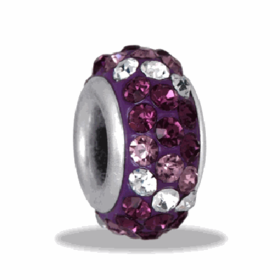 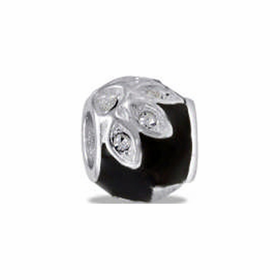 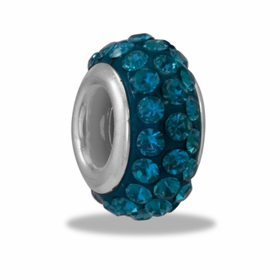 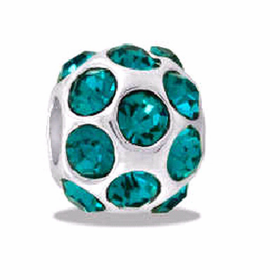 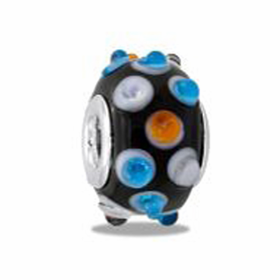 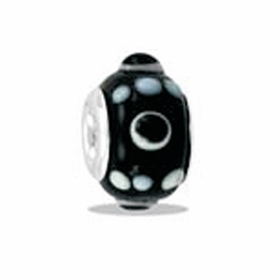 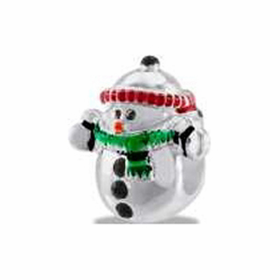 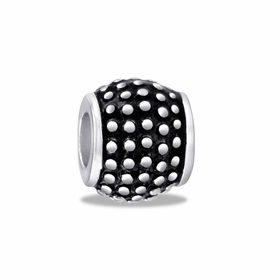 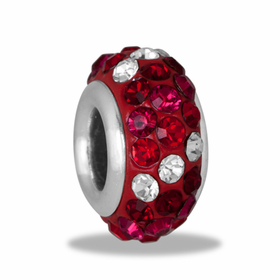 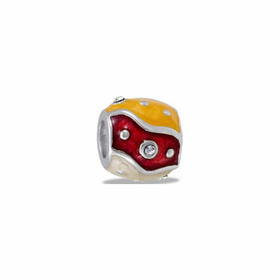 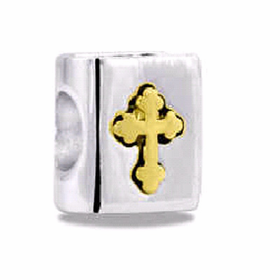 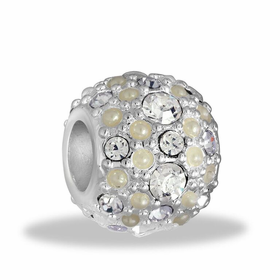 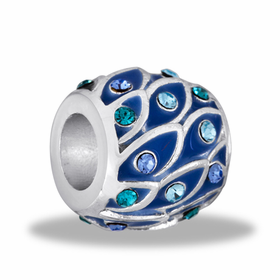 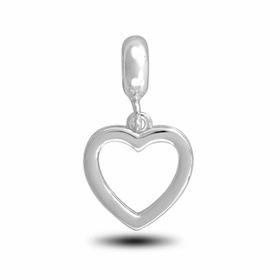 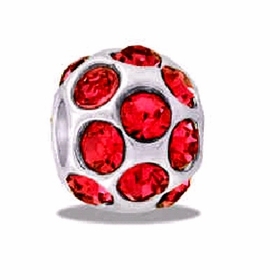 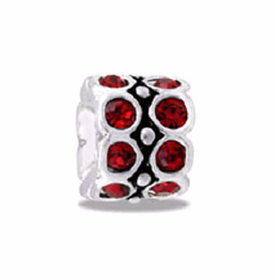 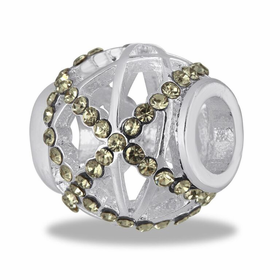 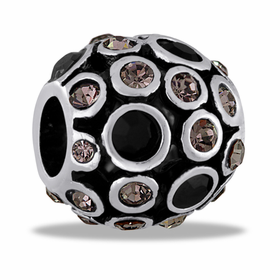 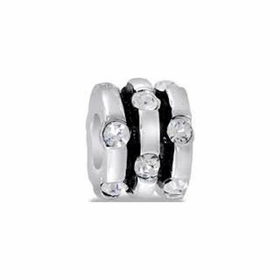 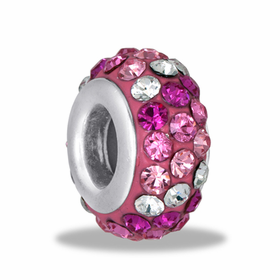 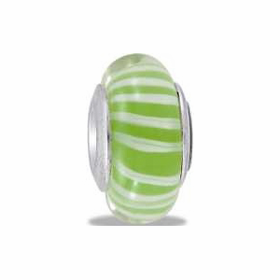 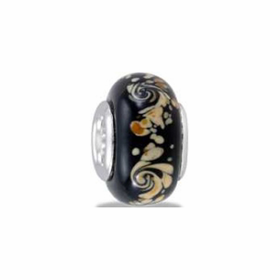 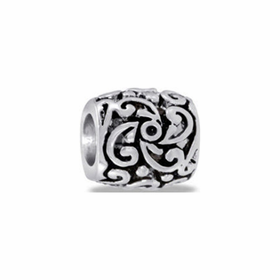 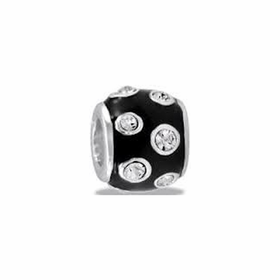 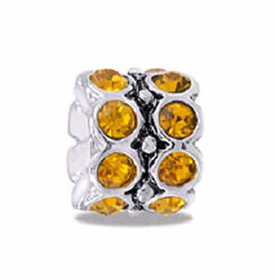 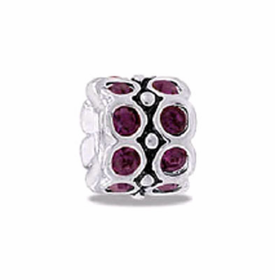 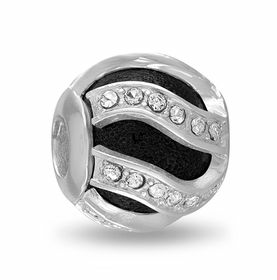 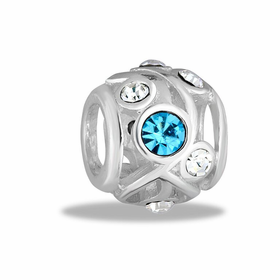 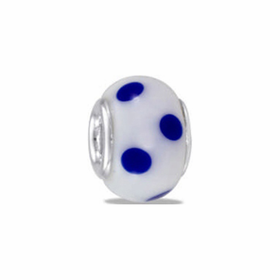 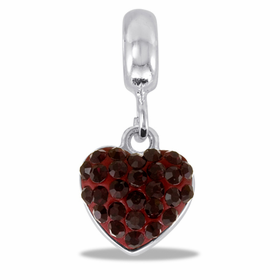 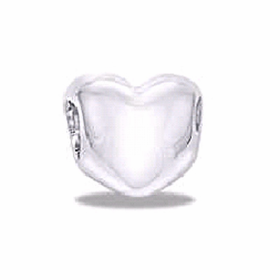 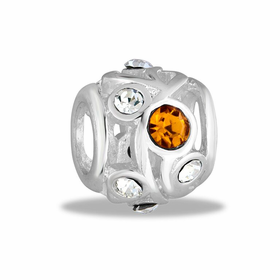 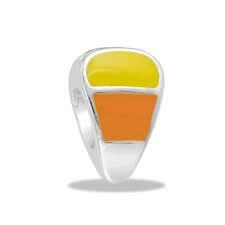 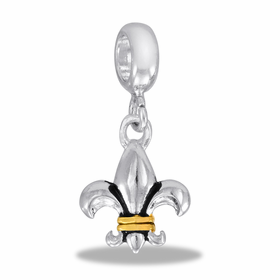 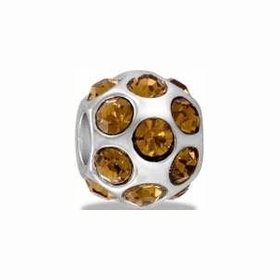 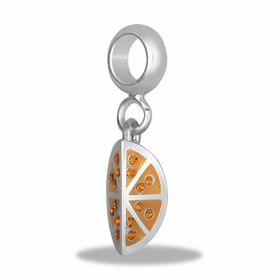 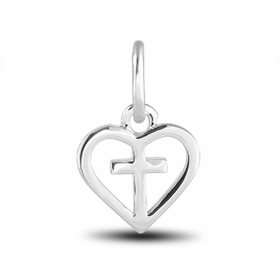 You'll enjoy a vast selection with DaVinci Beads Hallmark collection. 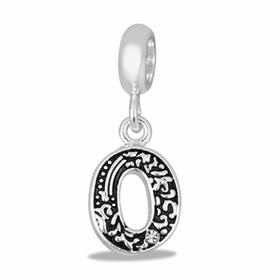 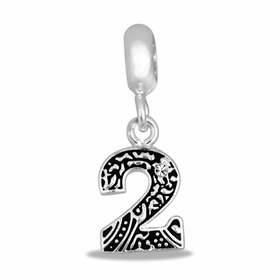 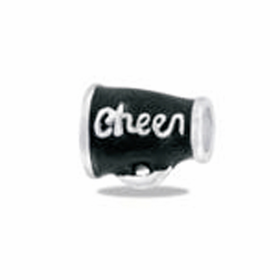 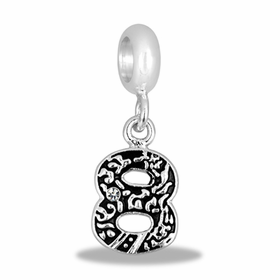 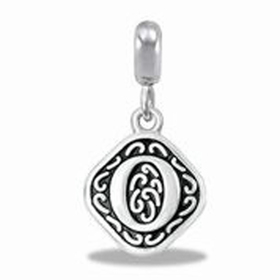 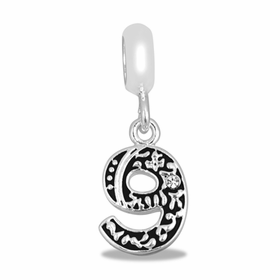 The alphabet beads are useful for spelling out your message exactly. 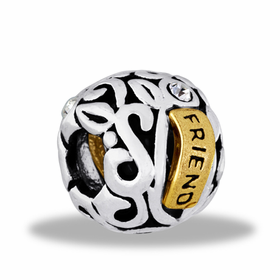 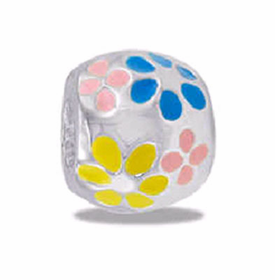 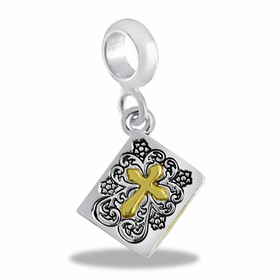 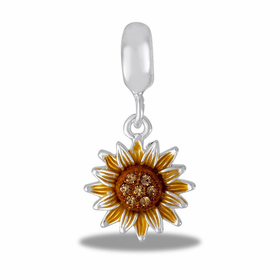 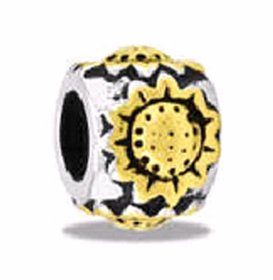 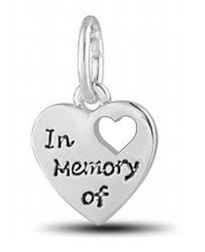 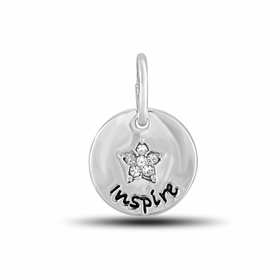 You can also share a sentiment beyond words with the many DaVinci Beads designs, including X's and O's, hearts, infinity signs, sunflowers, keys and daisies. 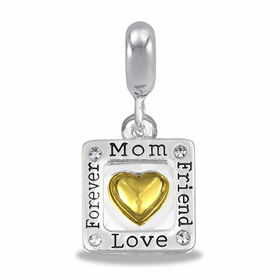 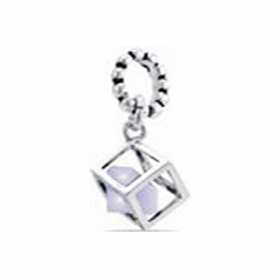 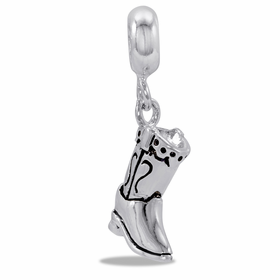 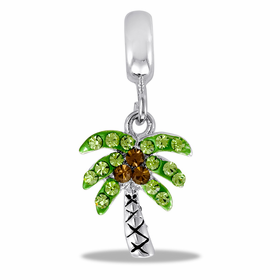 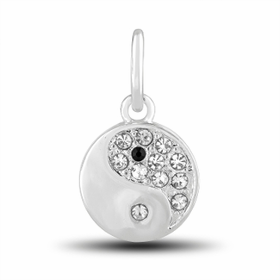 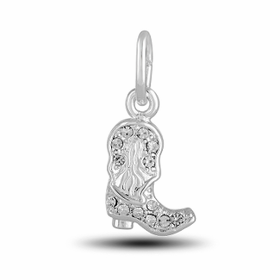 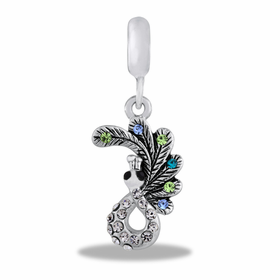 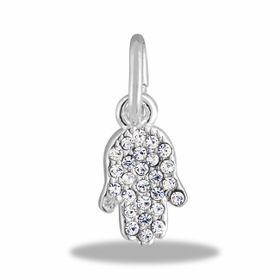 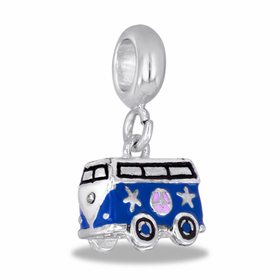 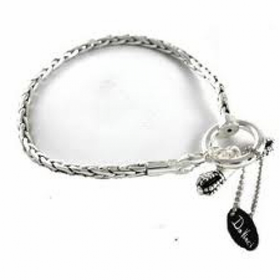 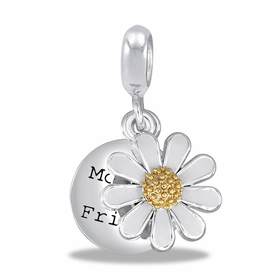 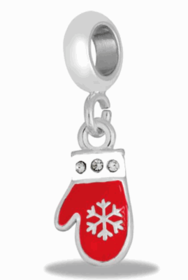 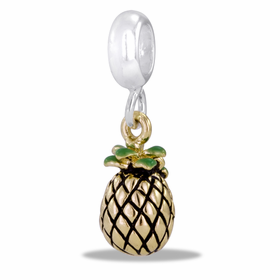 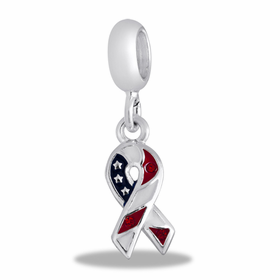 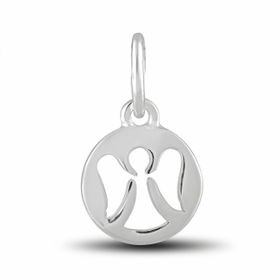 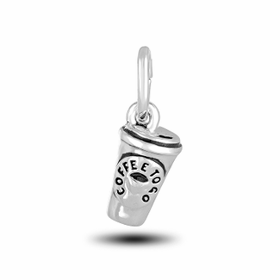 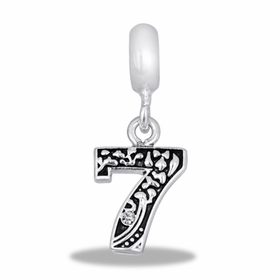 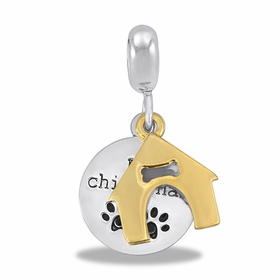 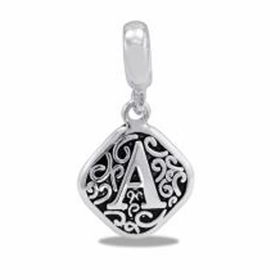 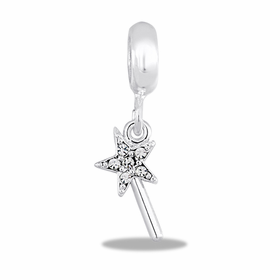 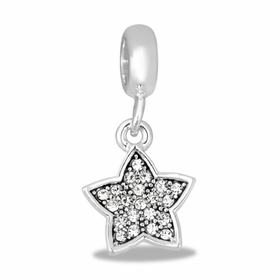 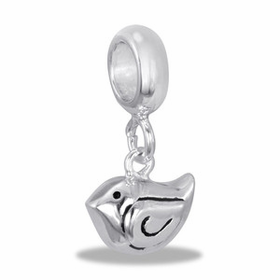 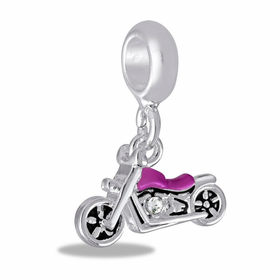 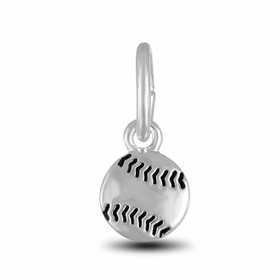 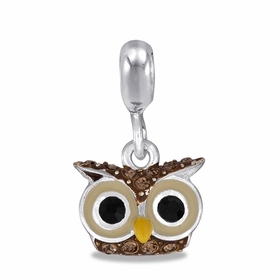 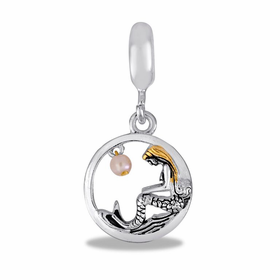 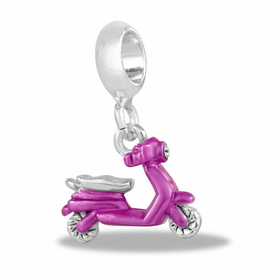 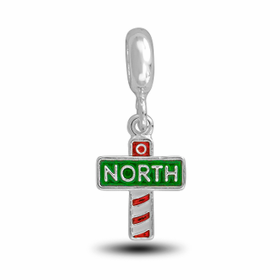 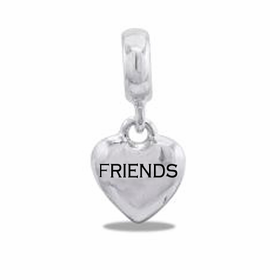 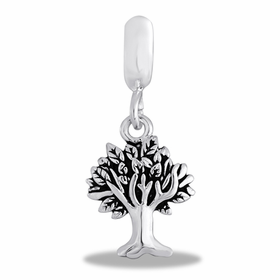 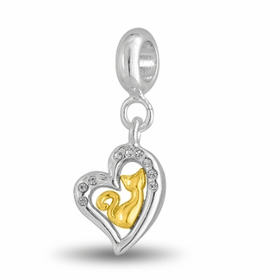 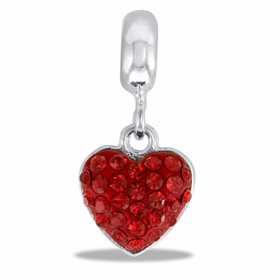 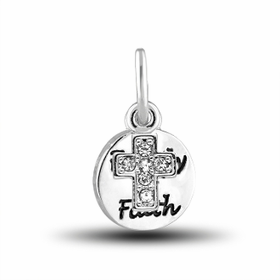 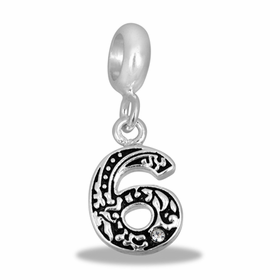 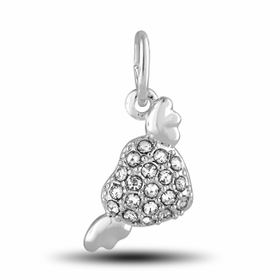 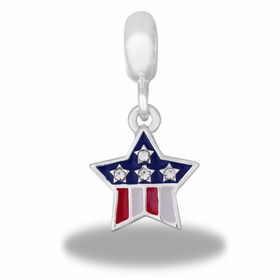 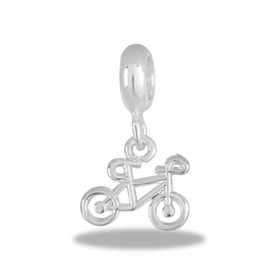 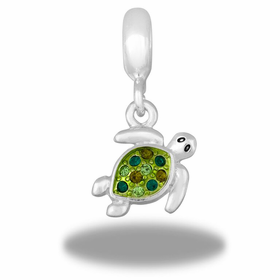 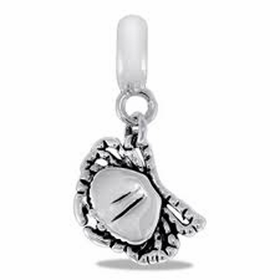 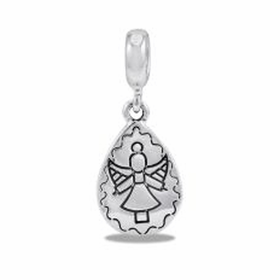 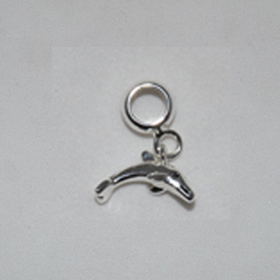 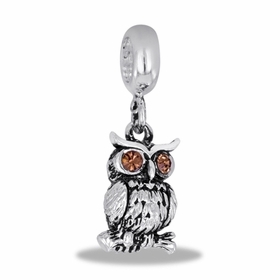 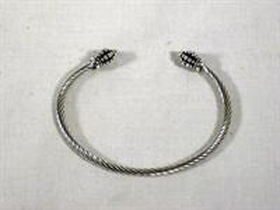 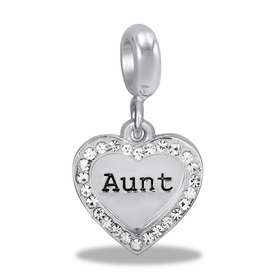 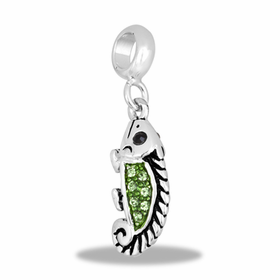 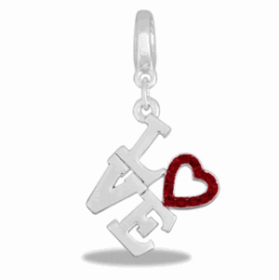 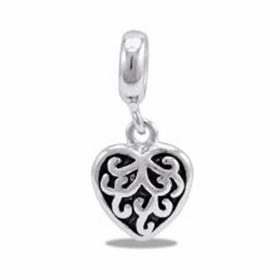 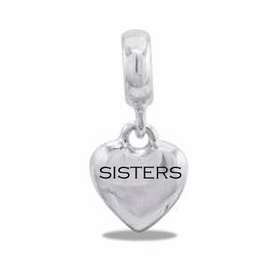 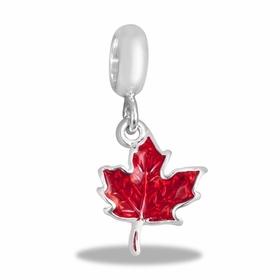 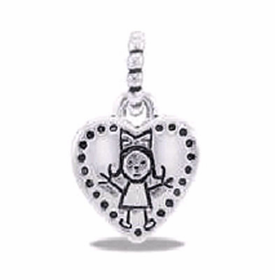 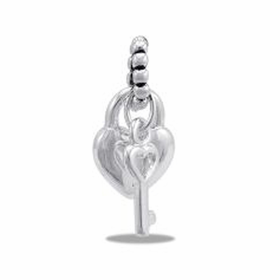 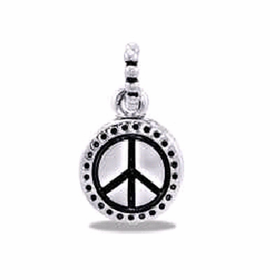 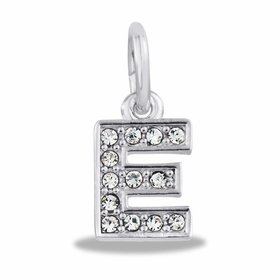 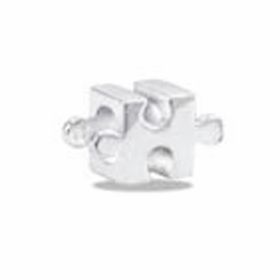 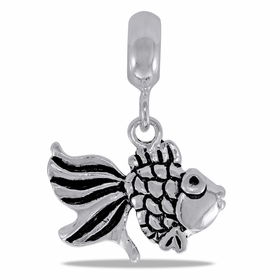 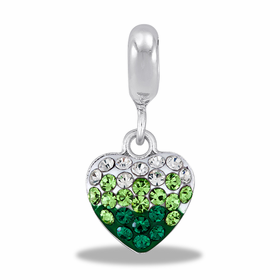 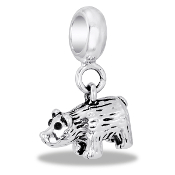 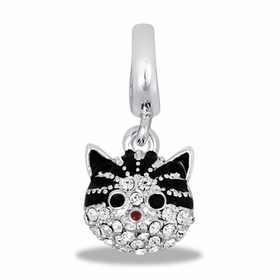 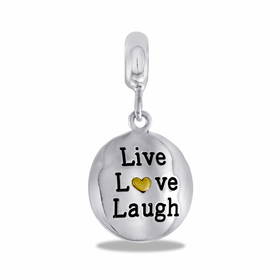 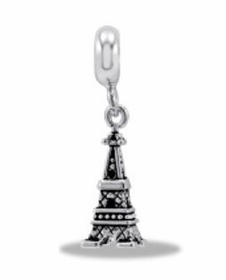 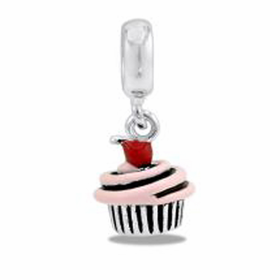 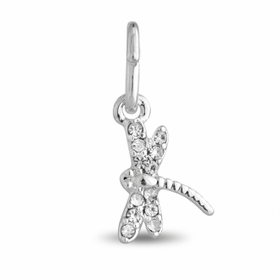 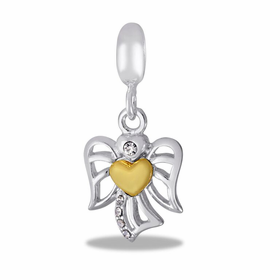 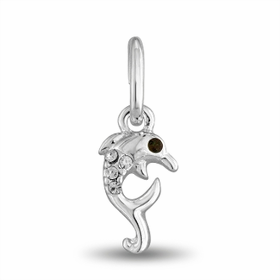 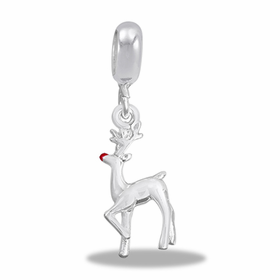 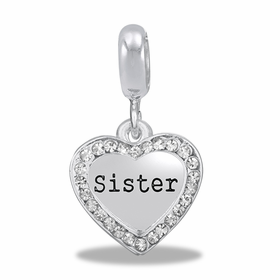 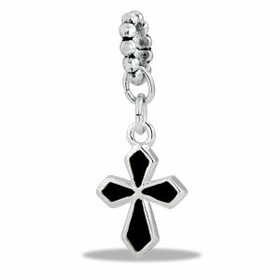 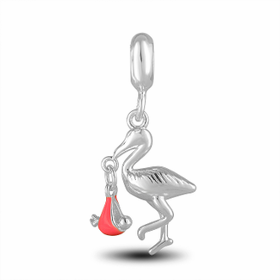 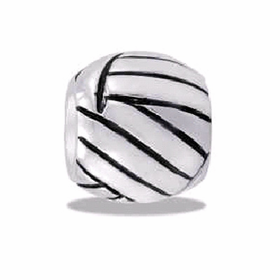 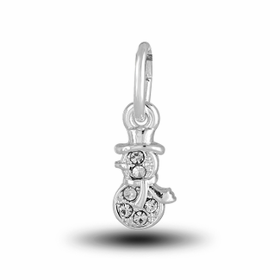 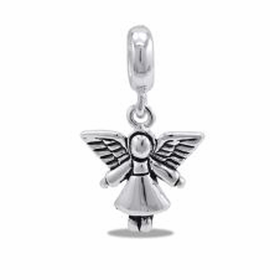 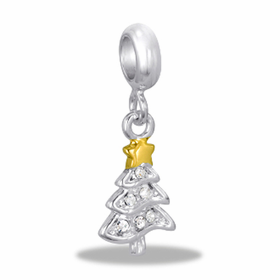 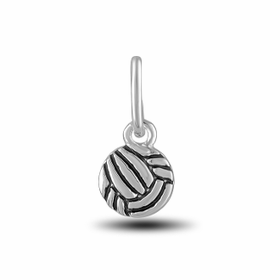 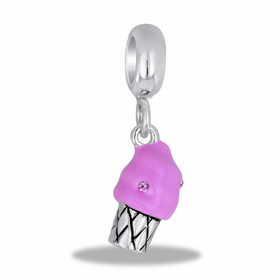 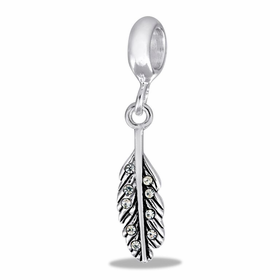 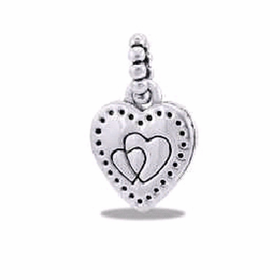 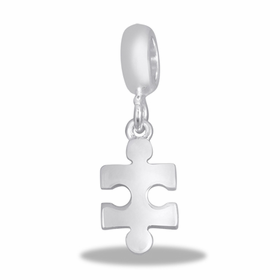 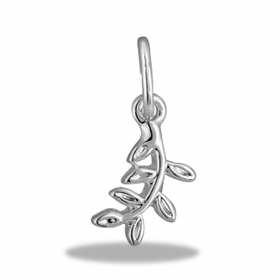 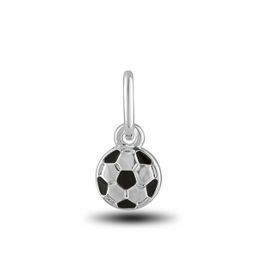 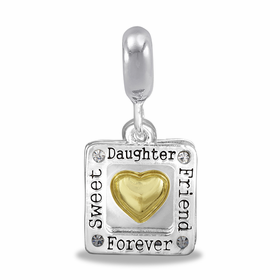 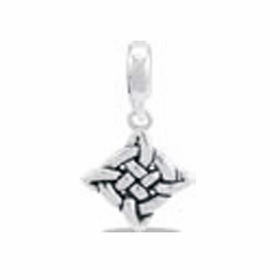 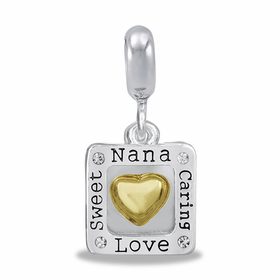 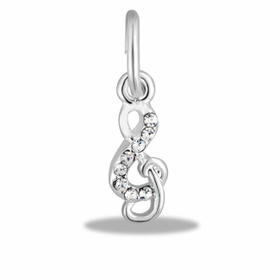 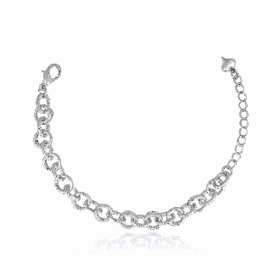 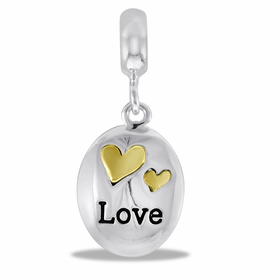 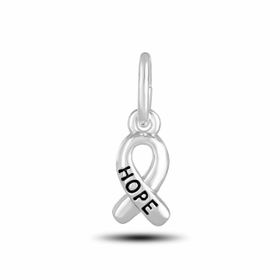 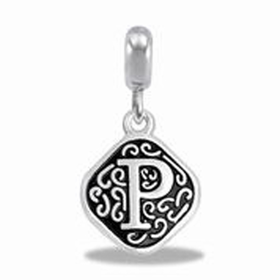 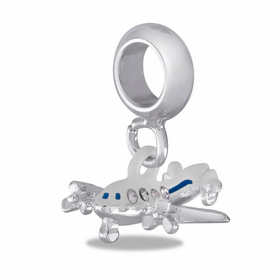 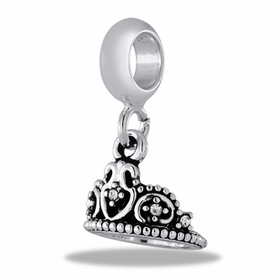 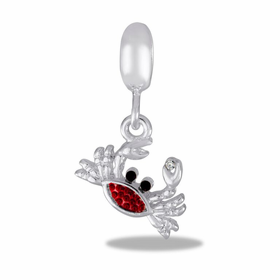 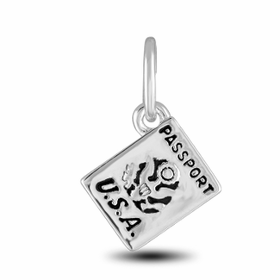 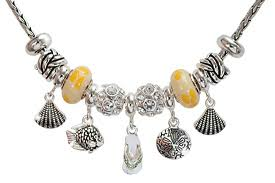 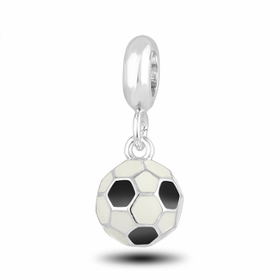 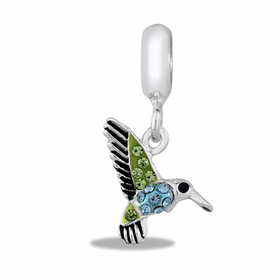 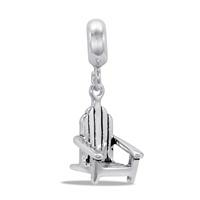 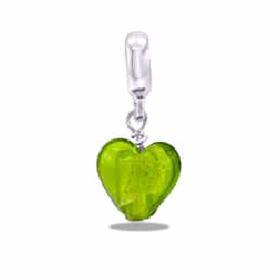 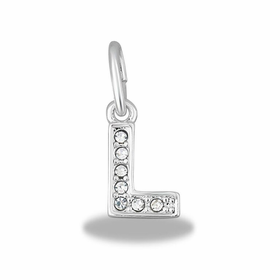 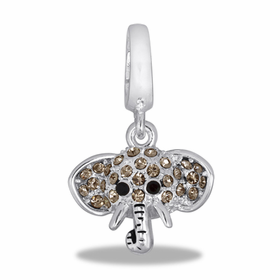 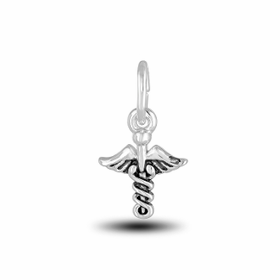 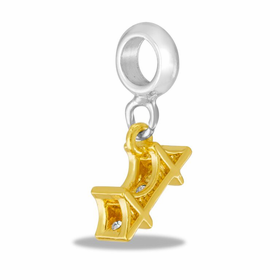 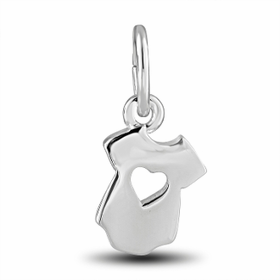 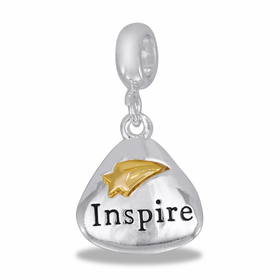 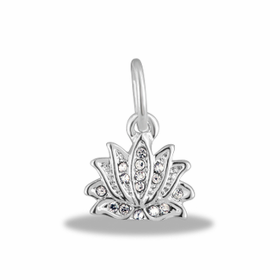 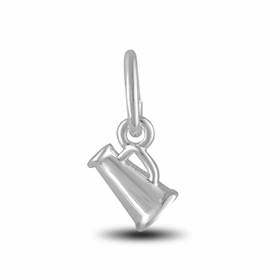 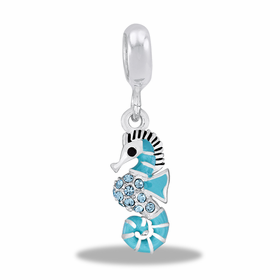 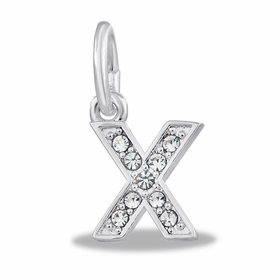 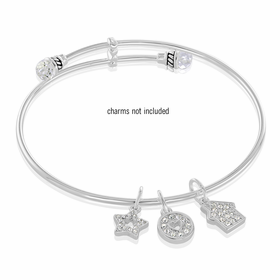 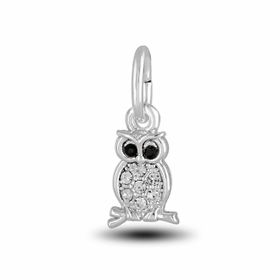 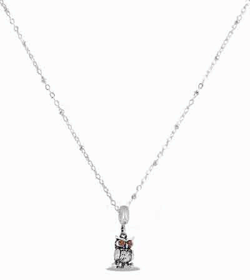 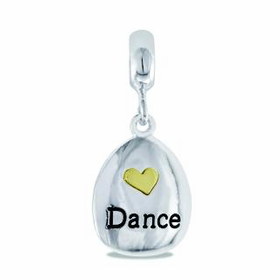 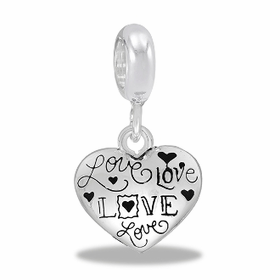 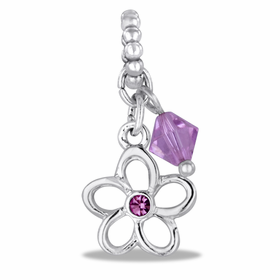 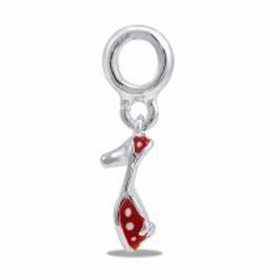 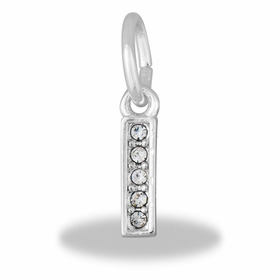 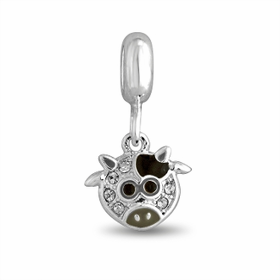 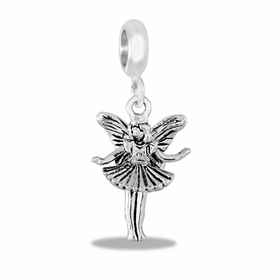 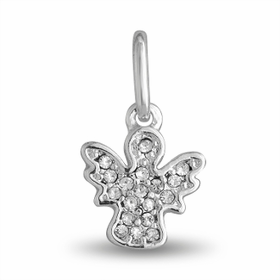 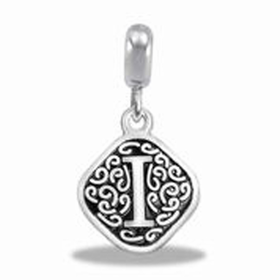 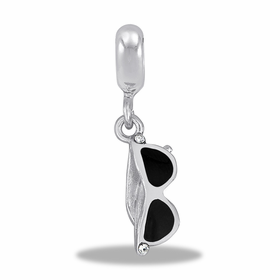 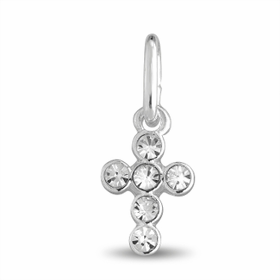 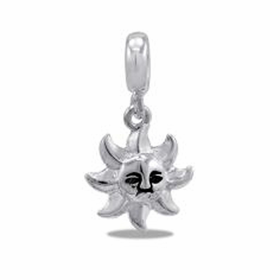 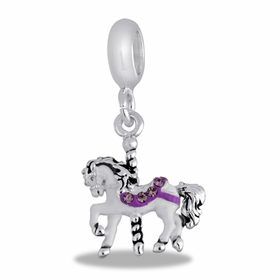 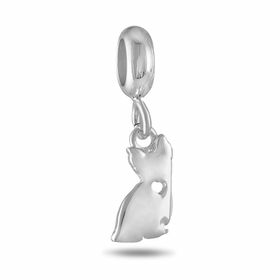 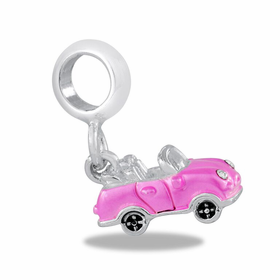 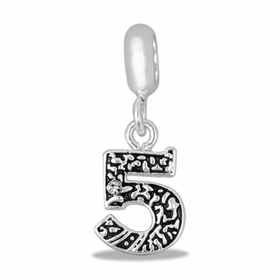 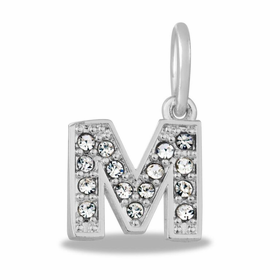 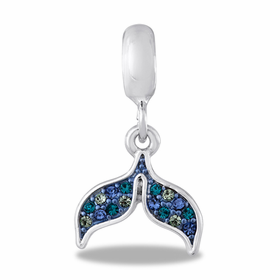 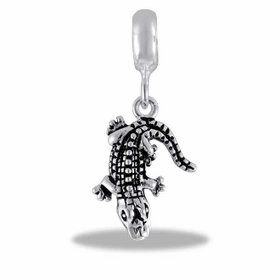 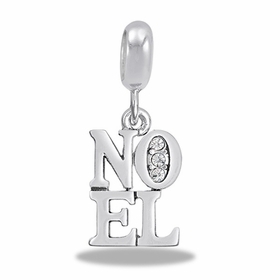 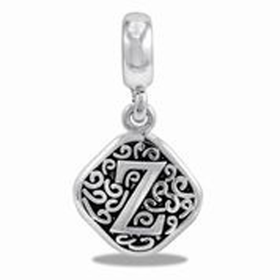 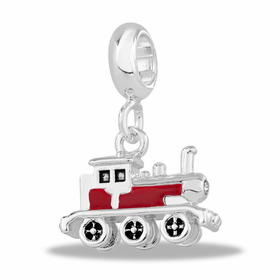 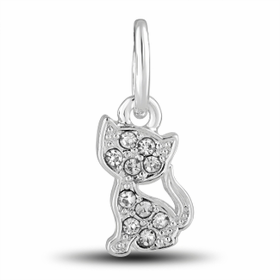 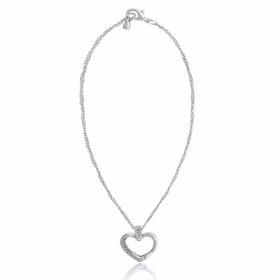 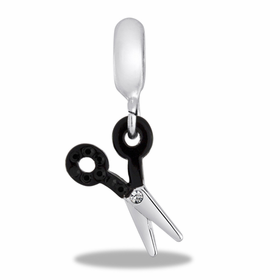 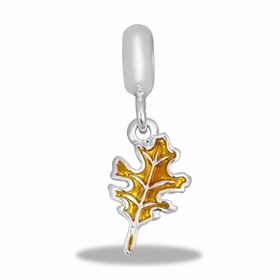 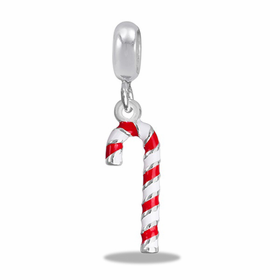 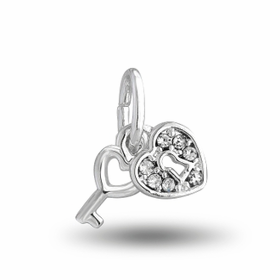 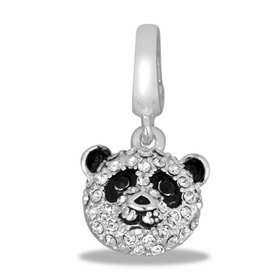 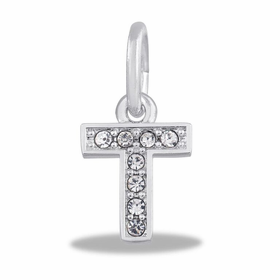 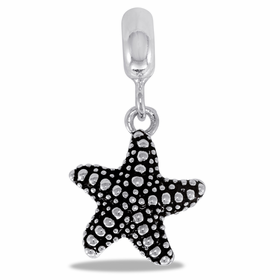 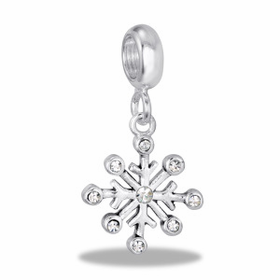 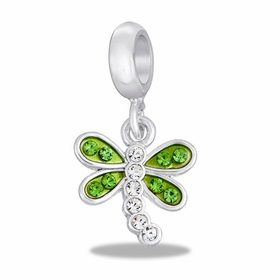 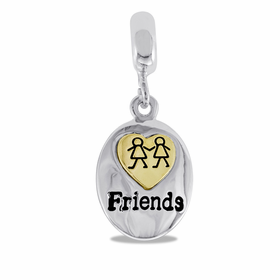 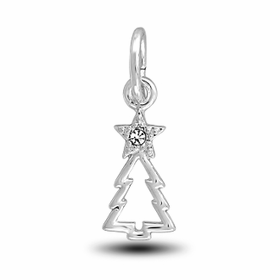 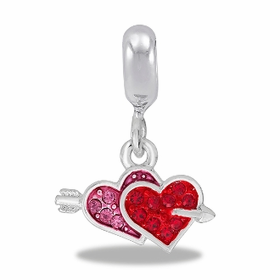 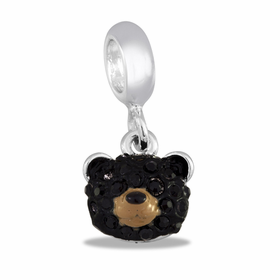 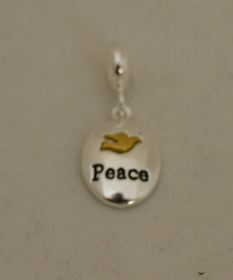 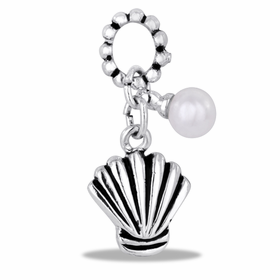 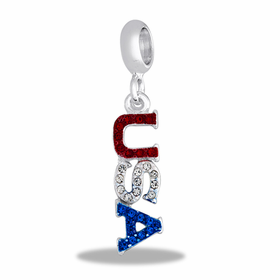 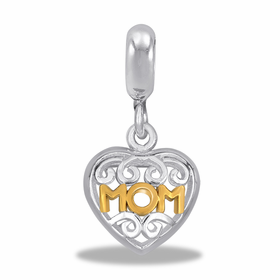 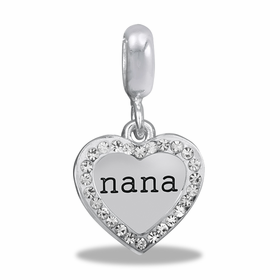 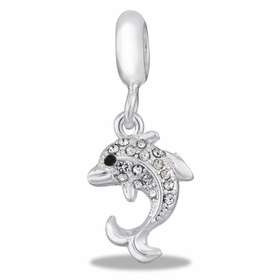 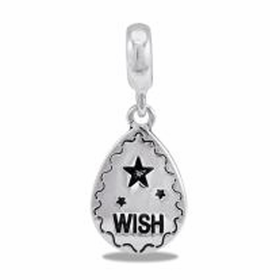 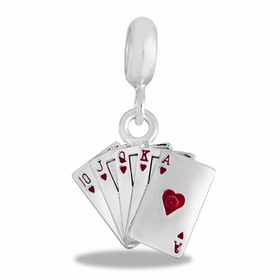 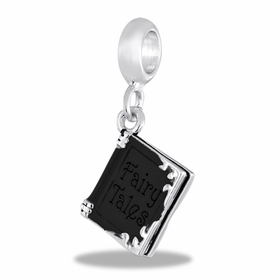 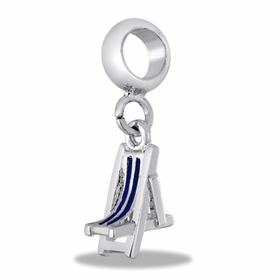 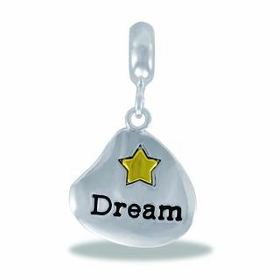 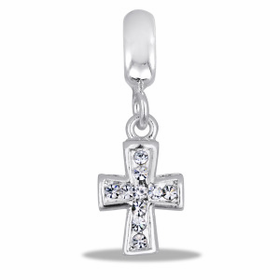 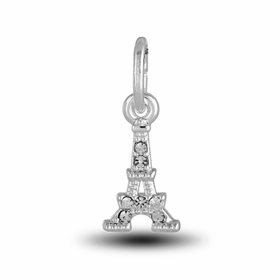 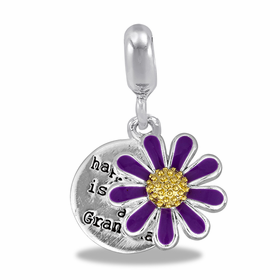 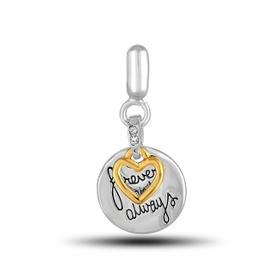 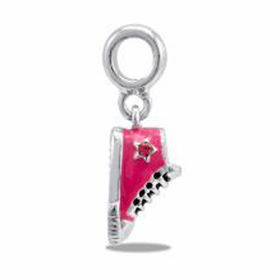 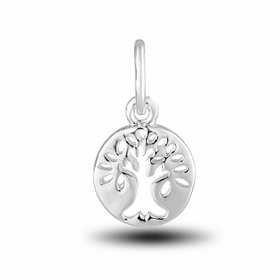 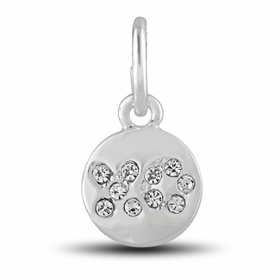 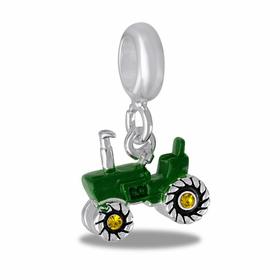 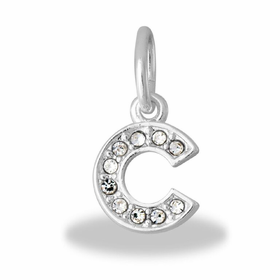 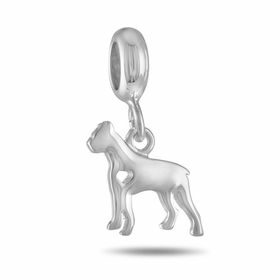 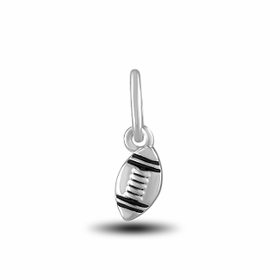 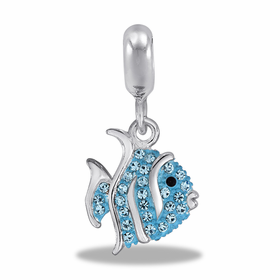 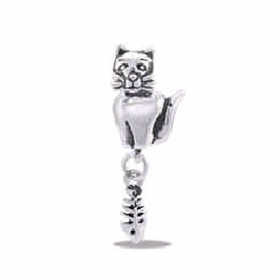 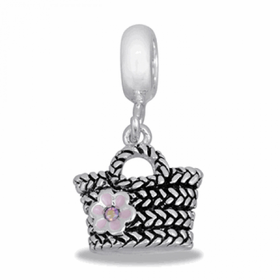 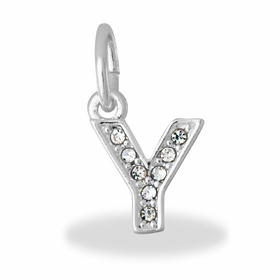 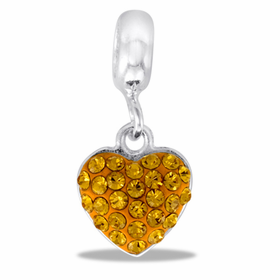 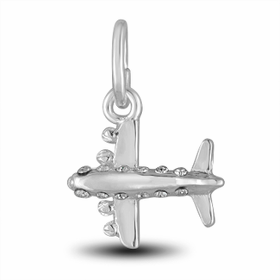 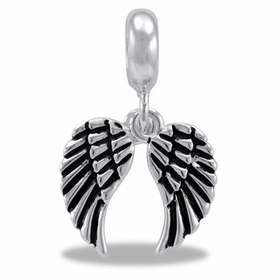 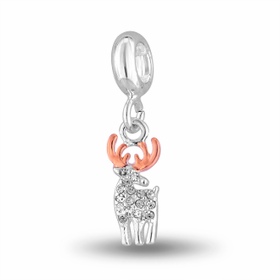 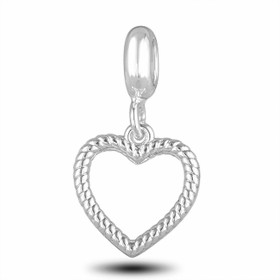 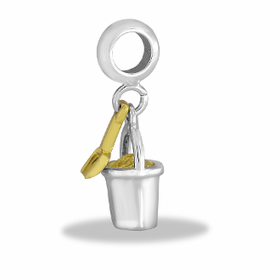 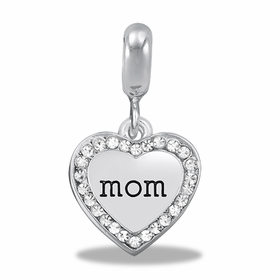 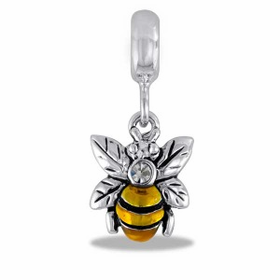 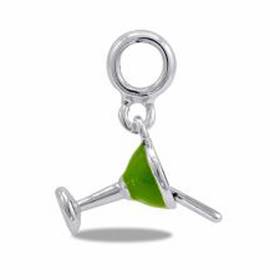 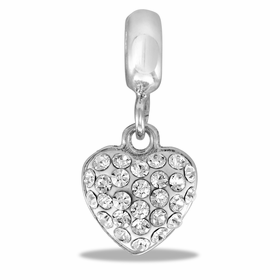 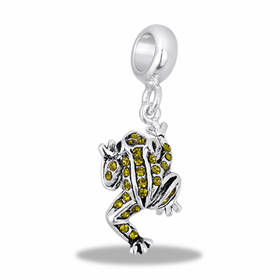 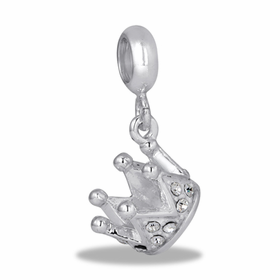 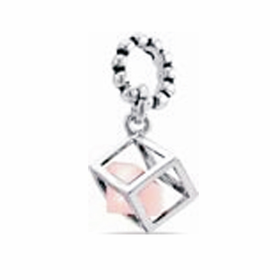 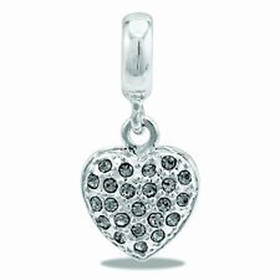 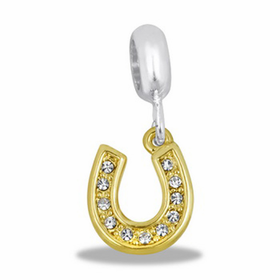 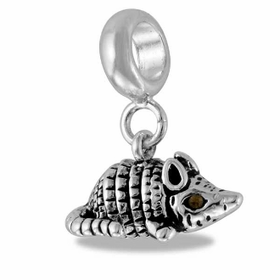 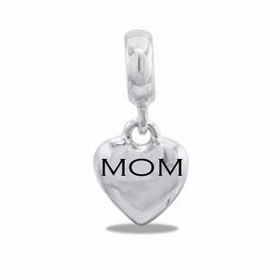 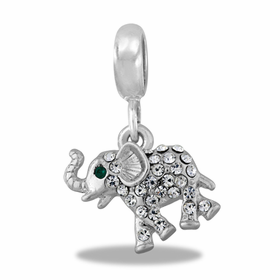 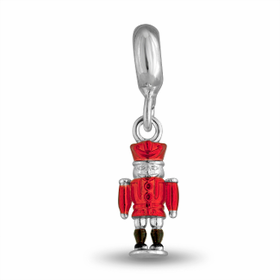 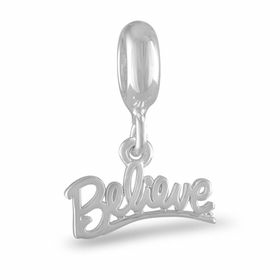 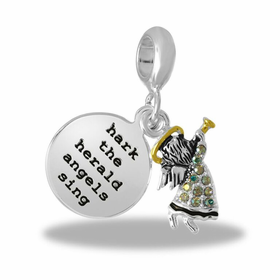 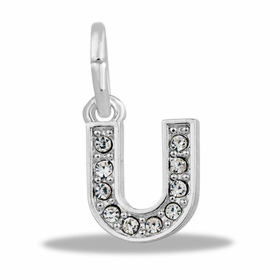 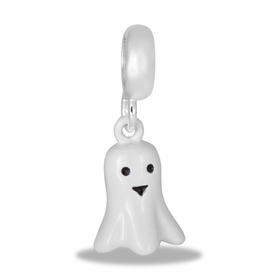 Give your new charm bracelet or necklace a finishing touch with one or more of the many dangles. 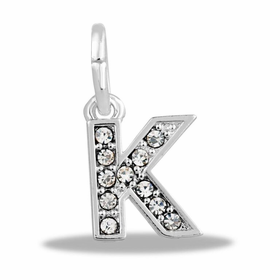 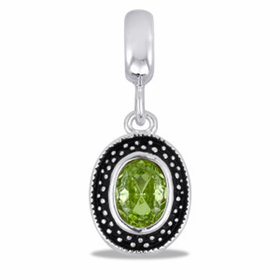 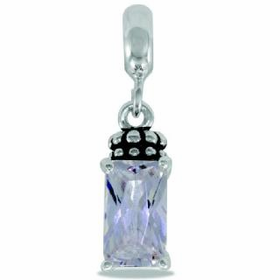 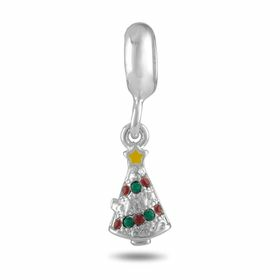 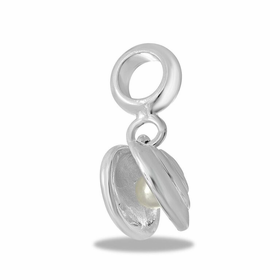 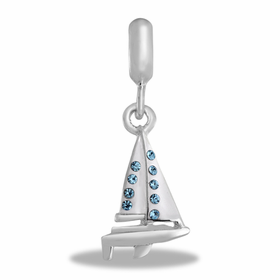 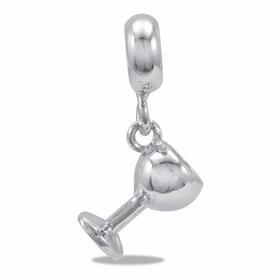 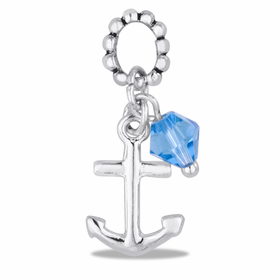 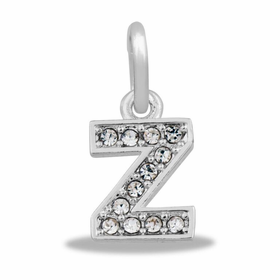 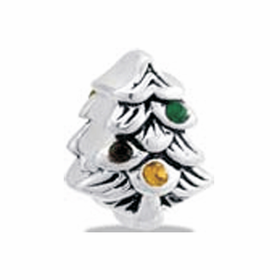 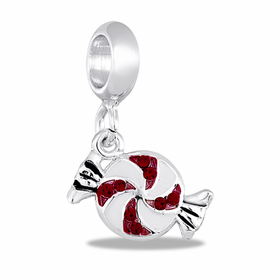 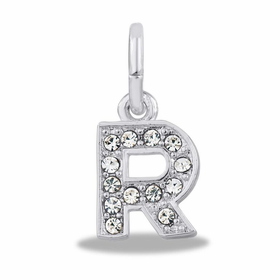 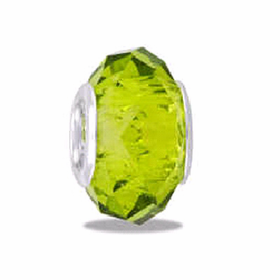 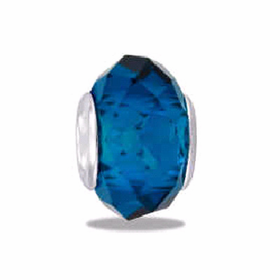 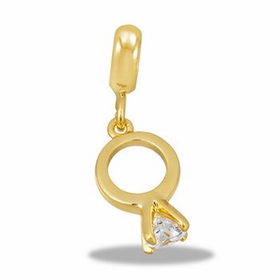 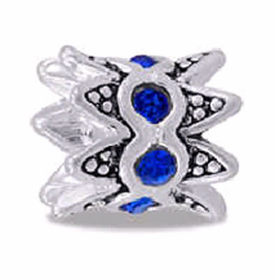 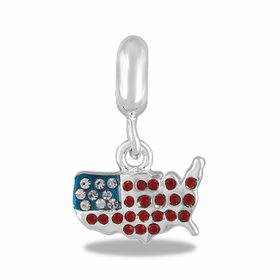 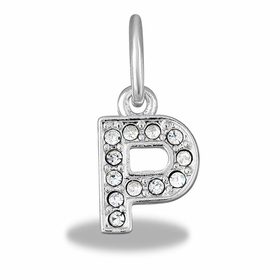 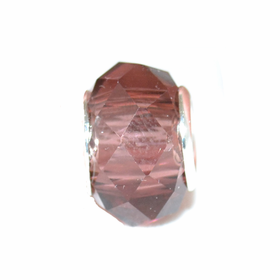 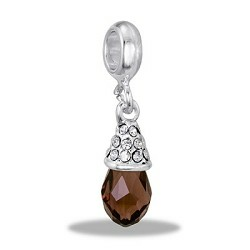 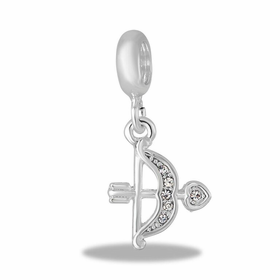 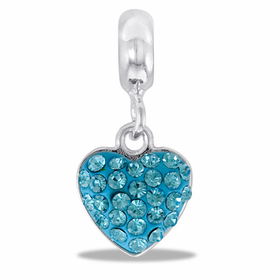 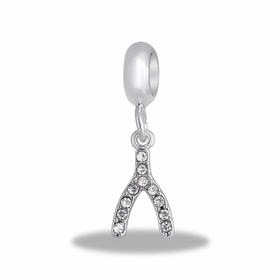 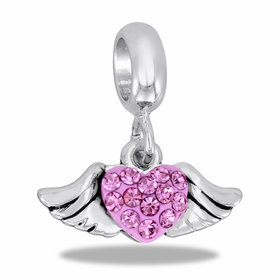 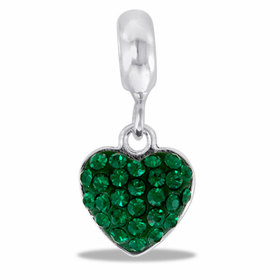 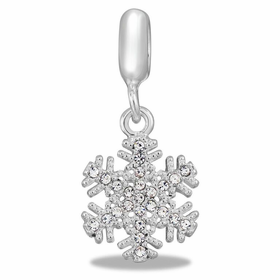 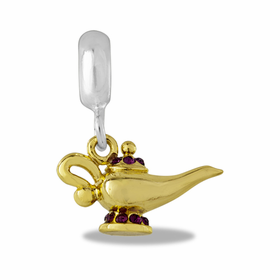 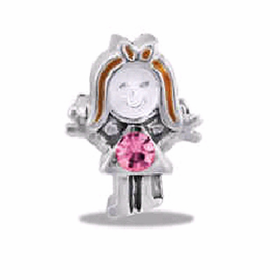 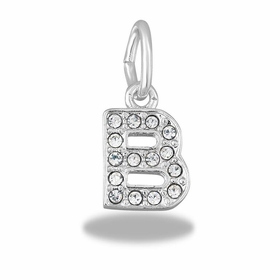 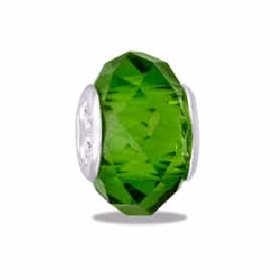 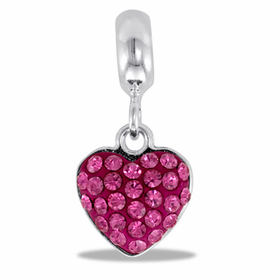 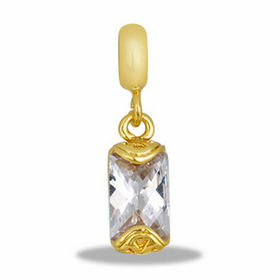 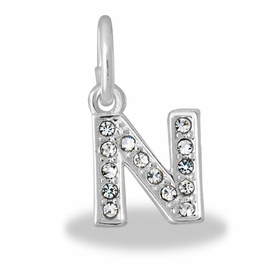 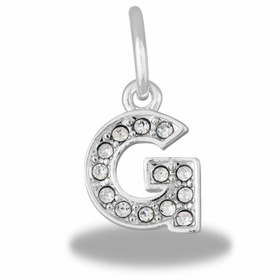 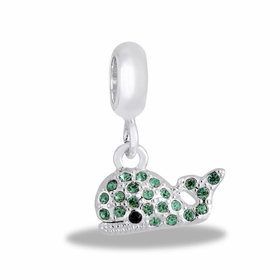 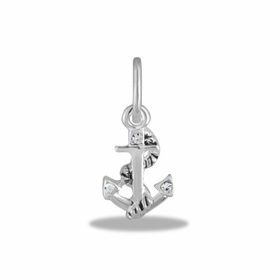 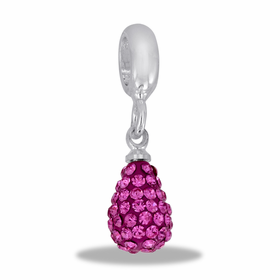 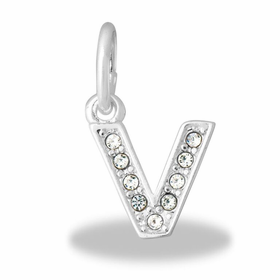 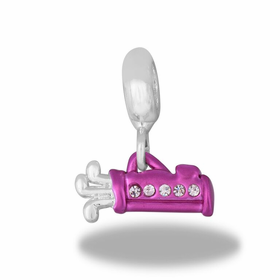 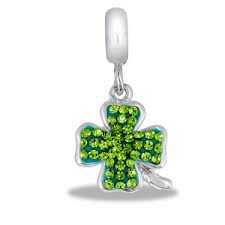 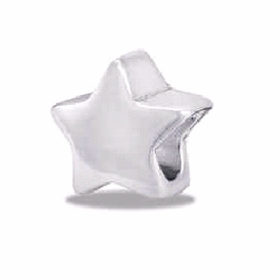 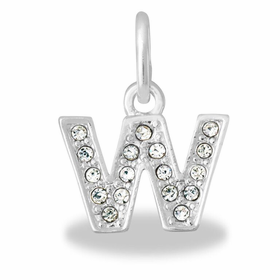 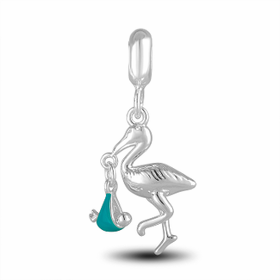 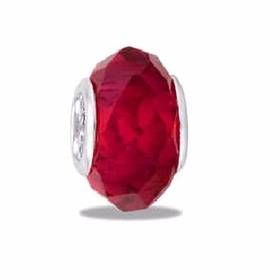 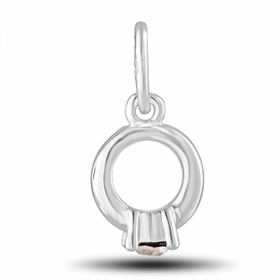 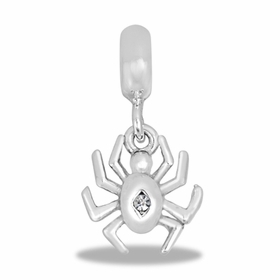 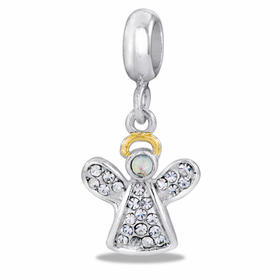 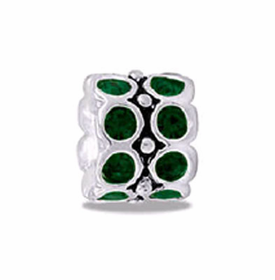 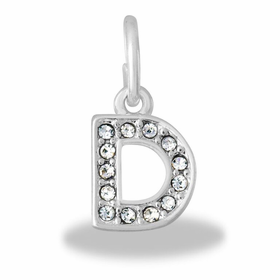 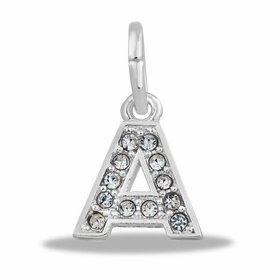 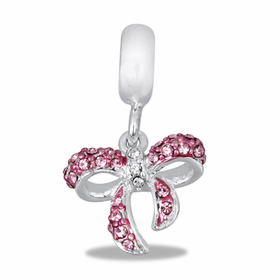 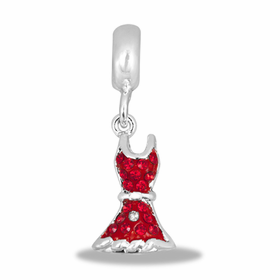 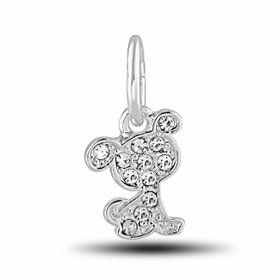 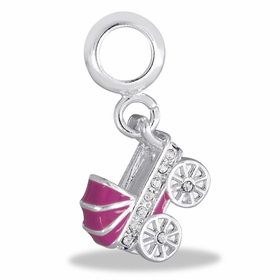 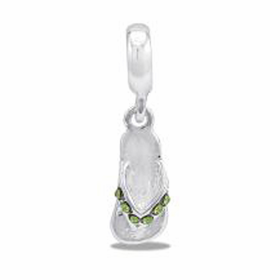 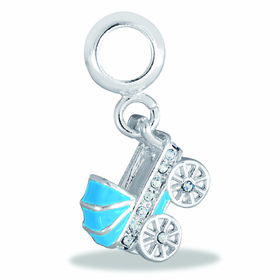 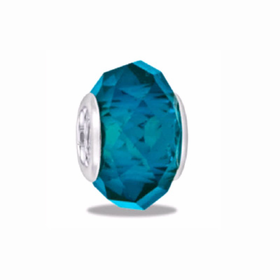 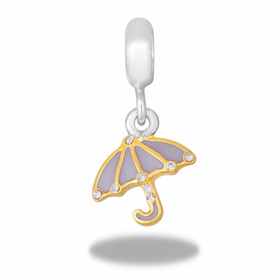 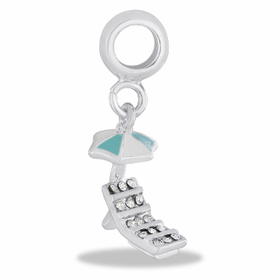 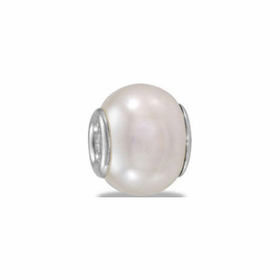 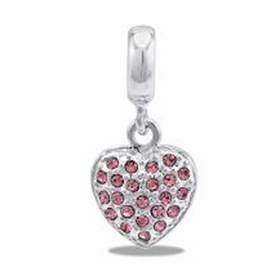 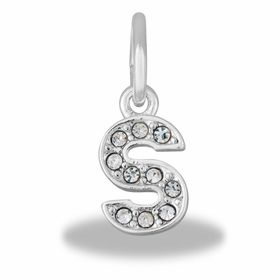 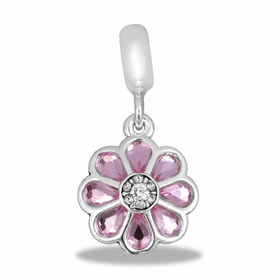 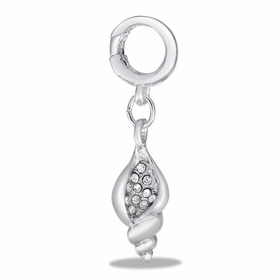 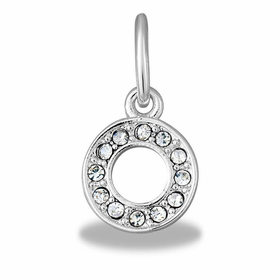 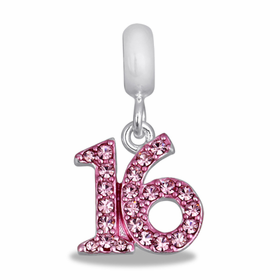 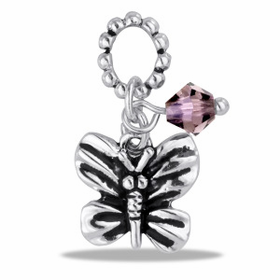 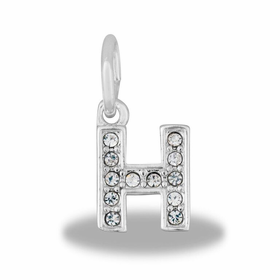 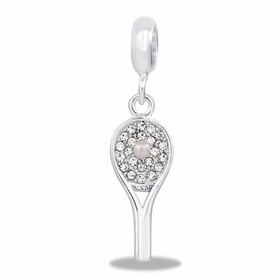 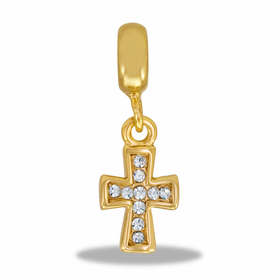 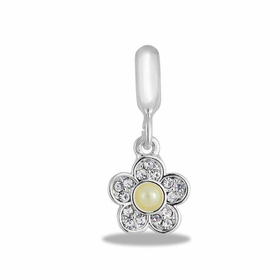 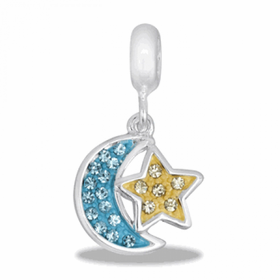 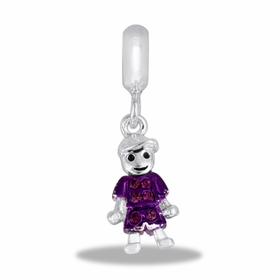 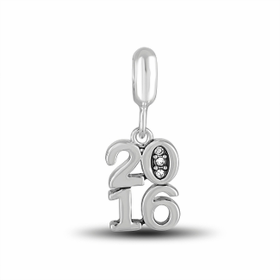 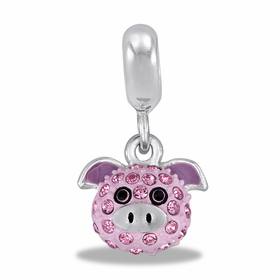 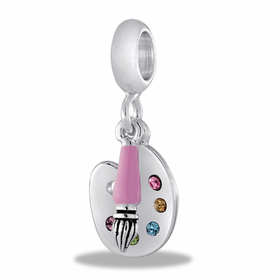 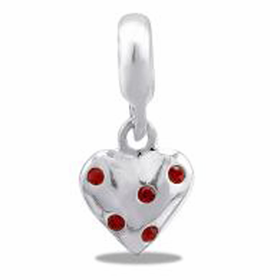 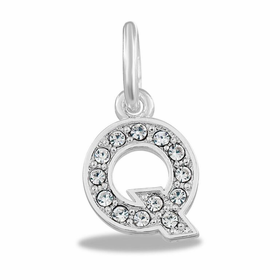 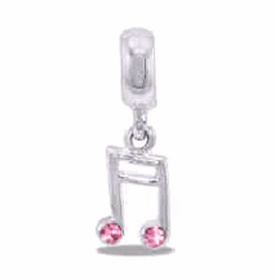 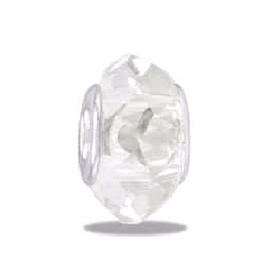 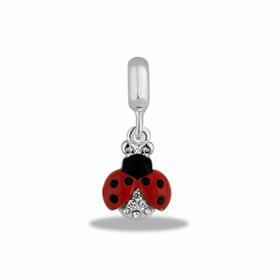 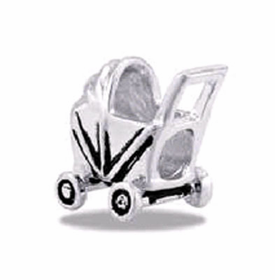 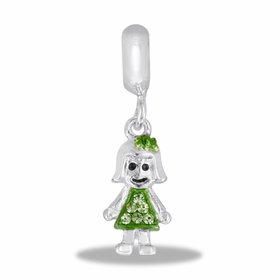 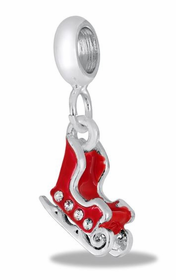 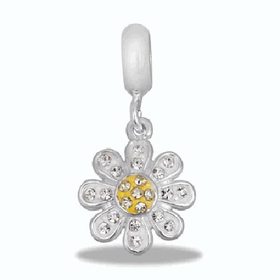 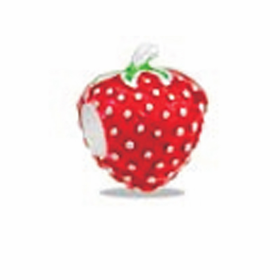 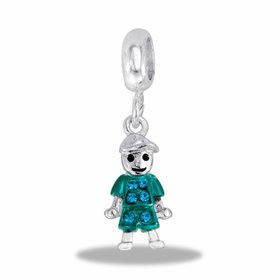 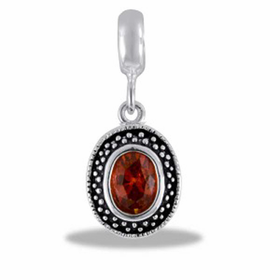 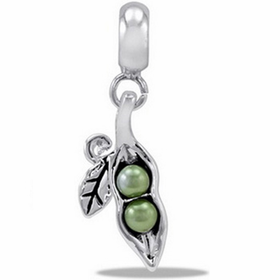 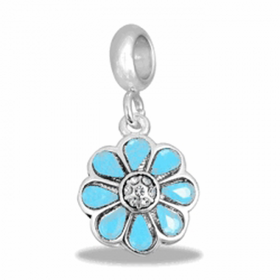 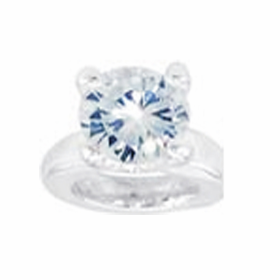 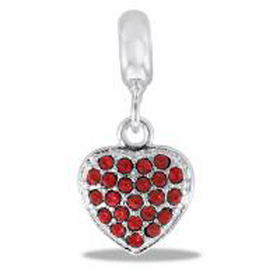 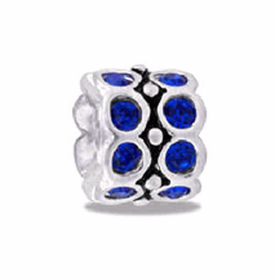 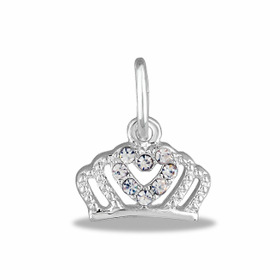 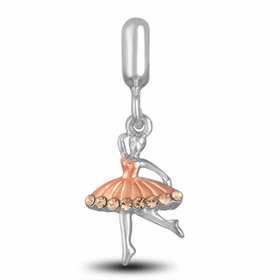 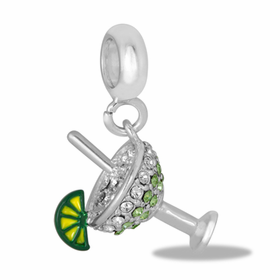 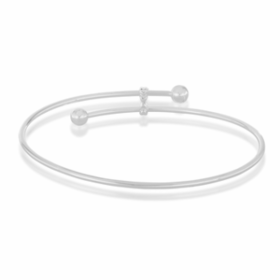 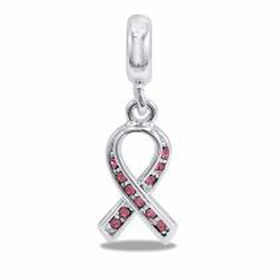 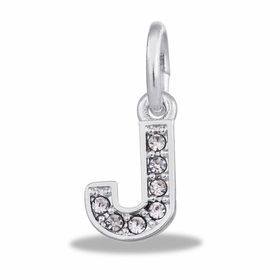 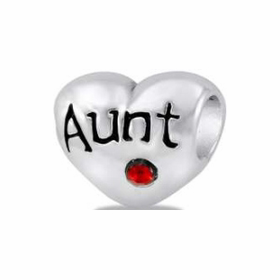 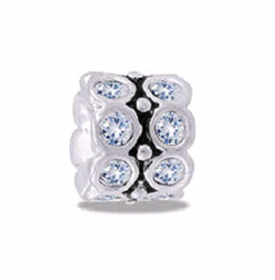 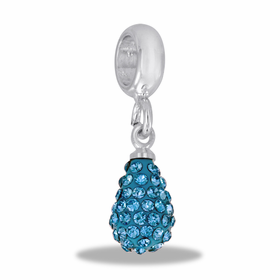 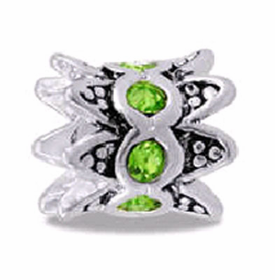 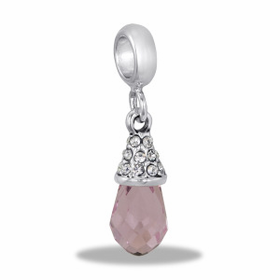 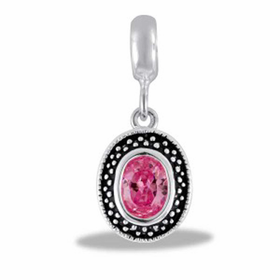 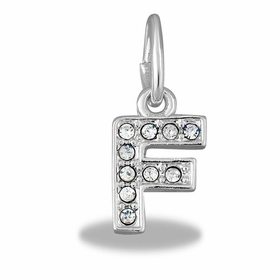 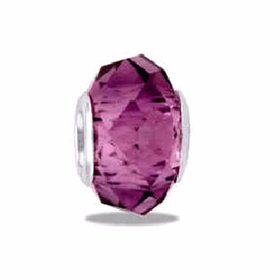 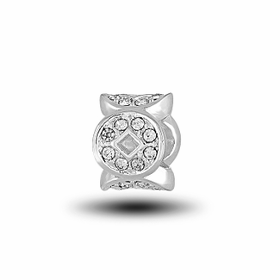 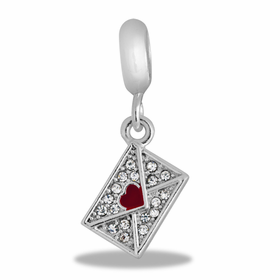 Birthstone dangles are an appropriate choice for new moms and little girls. 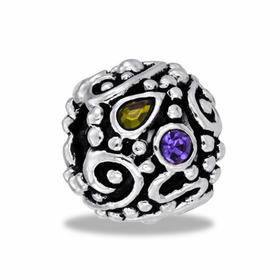 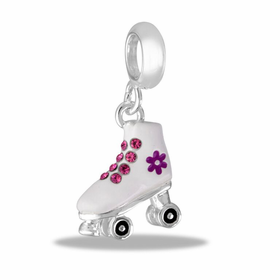 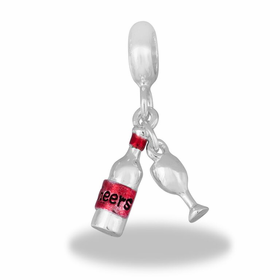 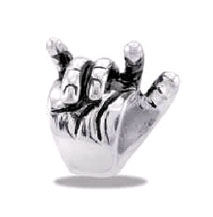 These make great gifts for any occasion! 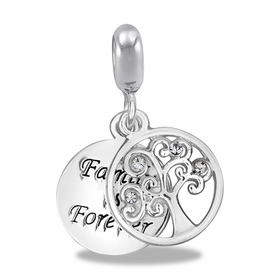 If putting together a personalized piece of jewelry is beyond your skill or comfort zone, choose among the pre-crafted selection of DaVinci jewelry. 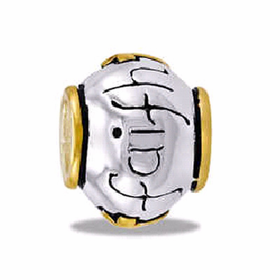 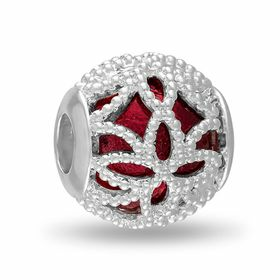 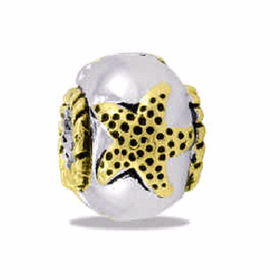 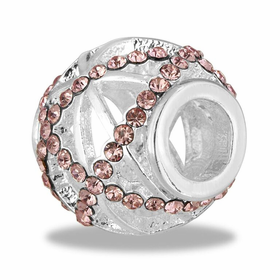 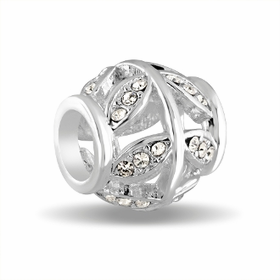 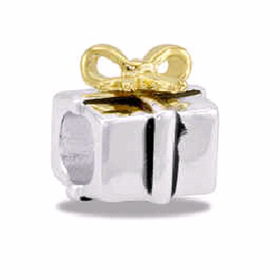 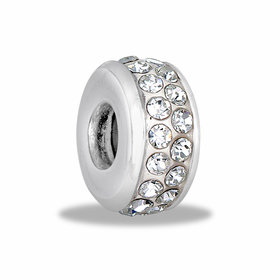 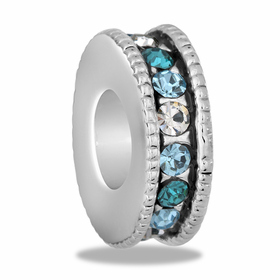 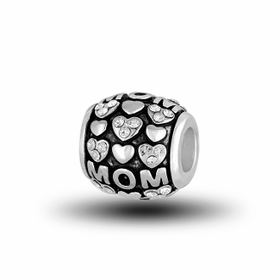 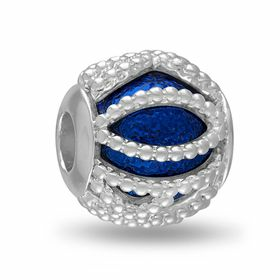 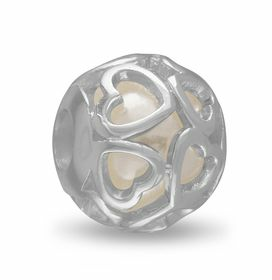 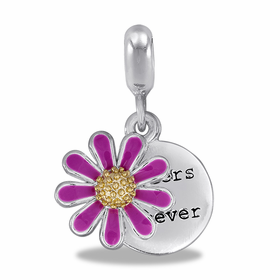 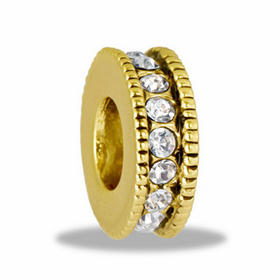 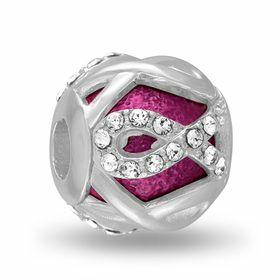 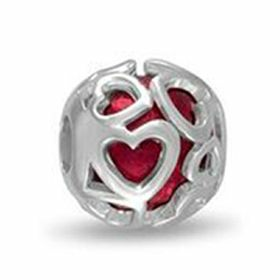 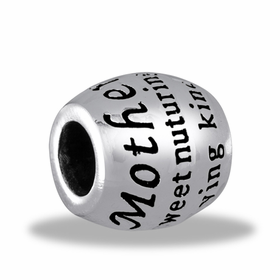 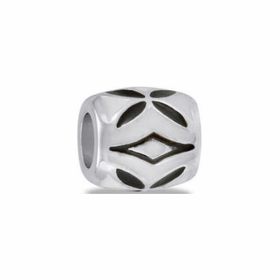 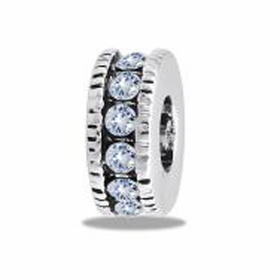 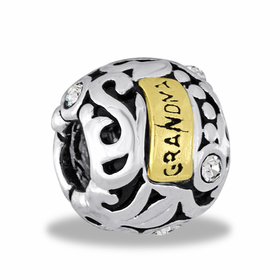 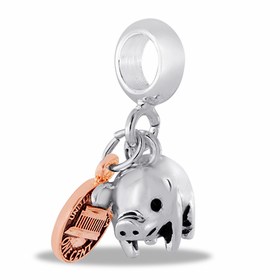 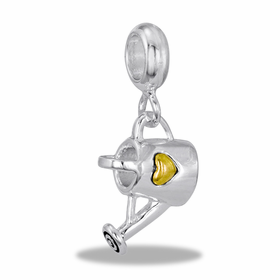 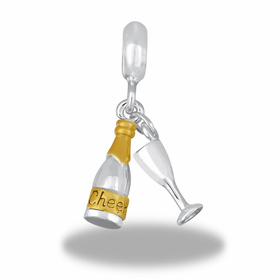 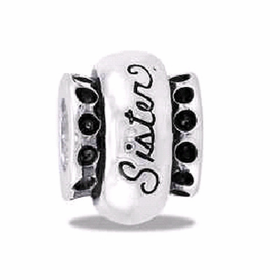 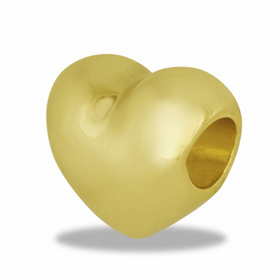 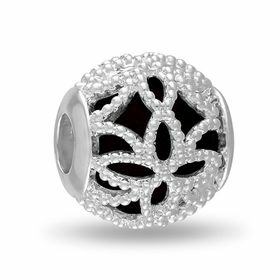 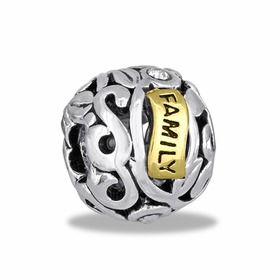 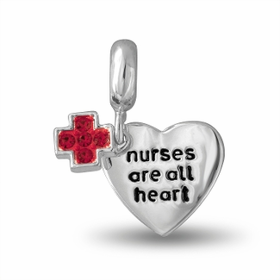 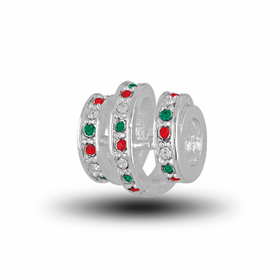 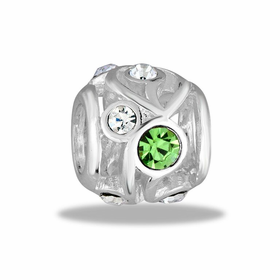 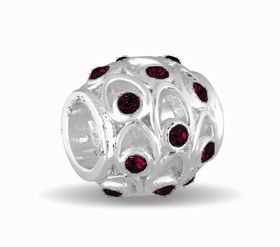 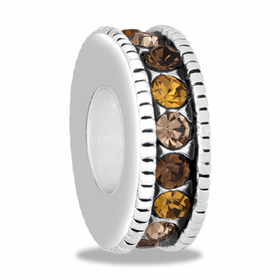 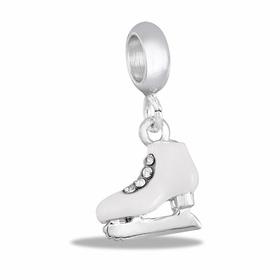 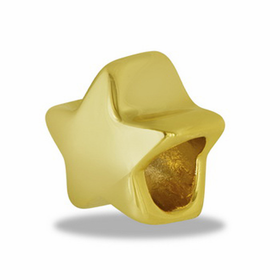 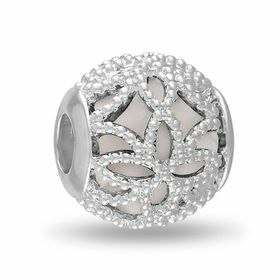 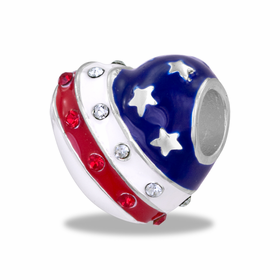 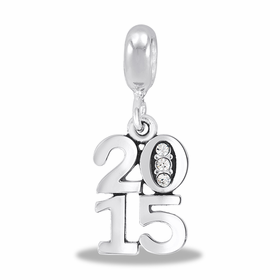 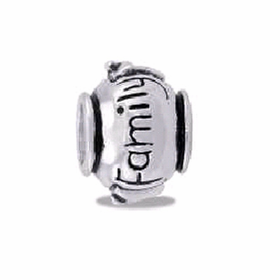 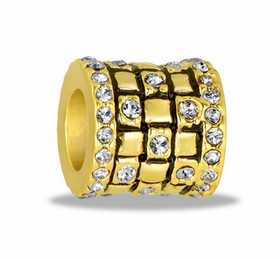 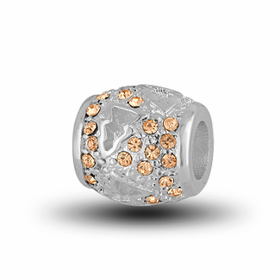 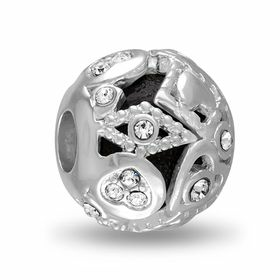 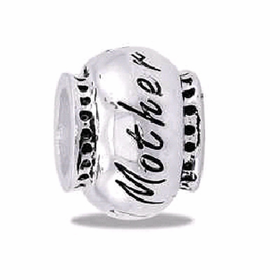 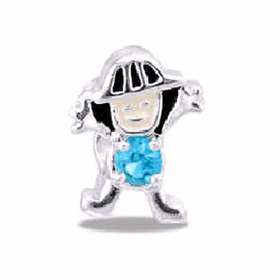 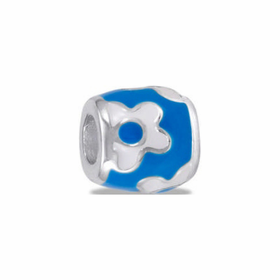 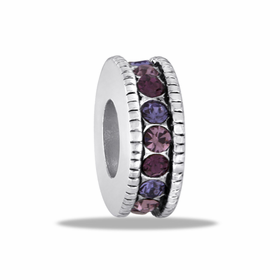 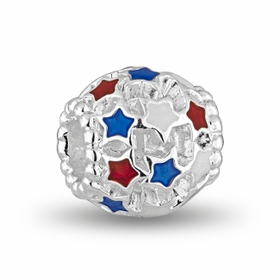 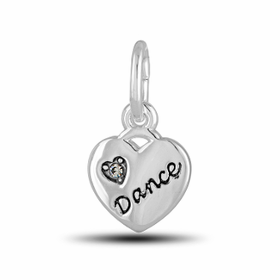 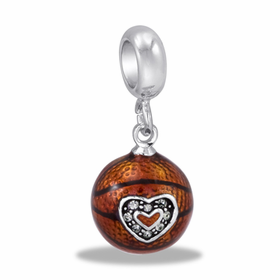 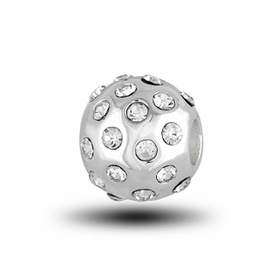 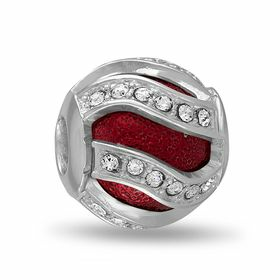 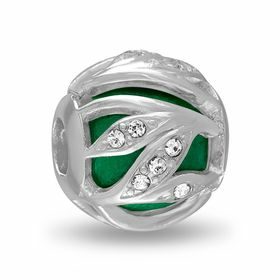 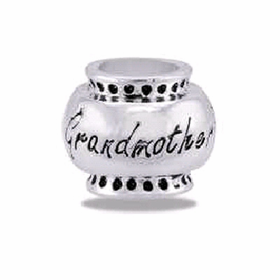 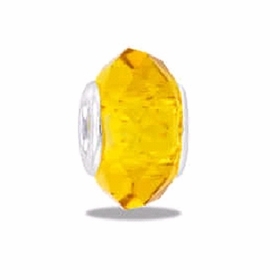 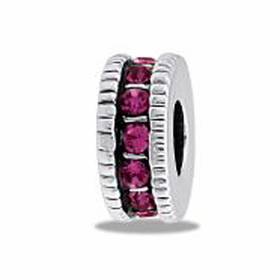 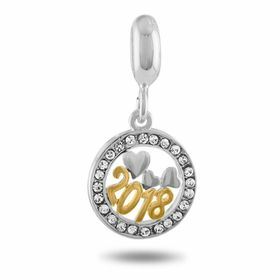 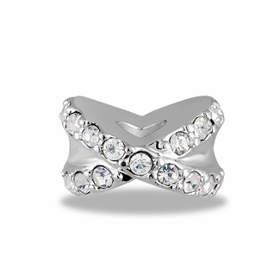 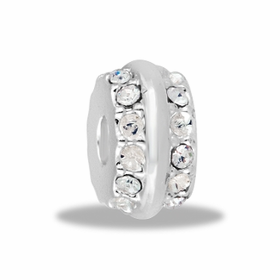 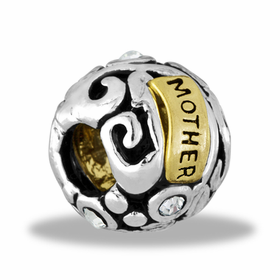 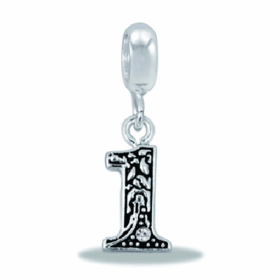 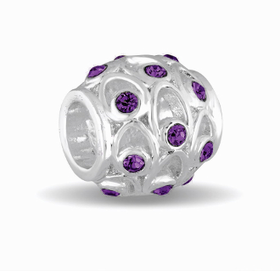 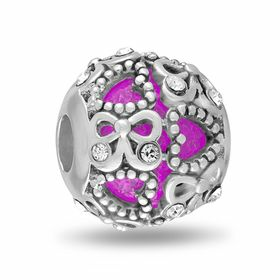 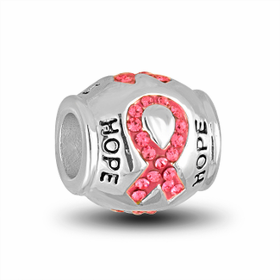 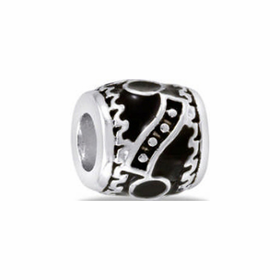 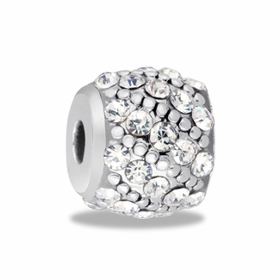 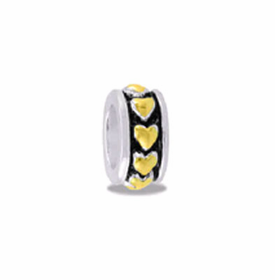 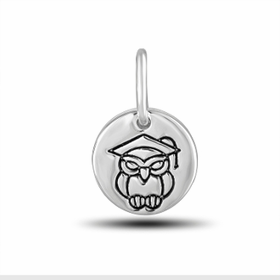 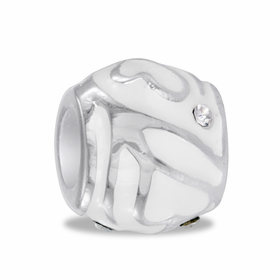 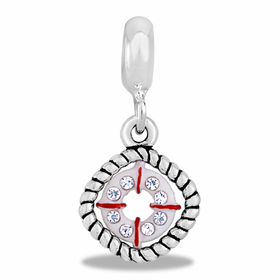 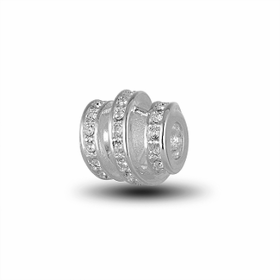 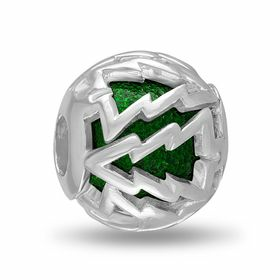 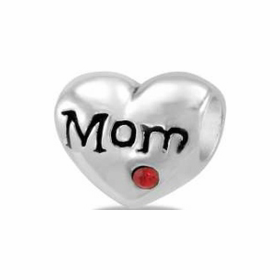 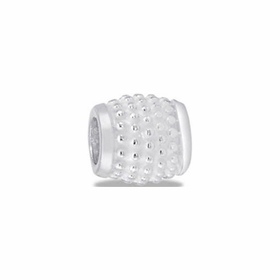 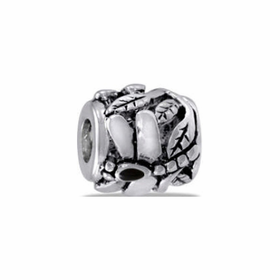 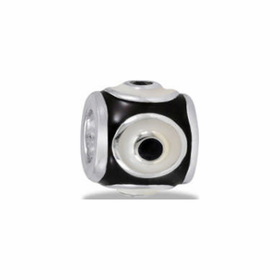 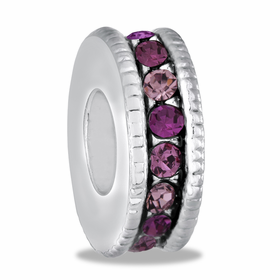 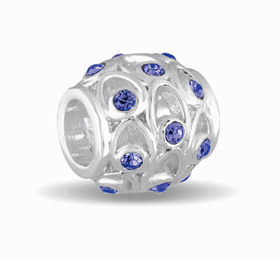 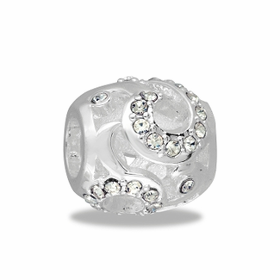 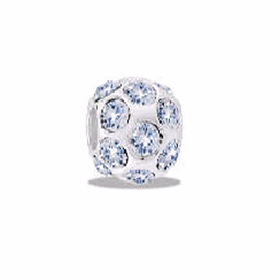 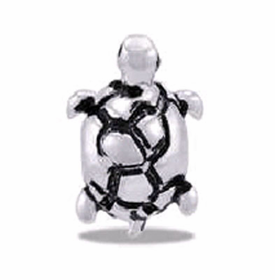 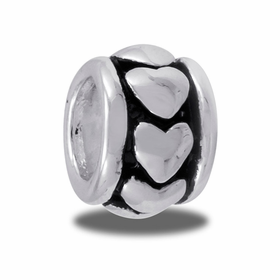 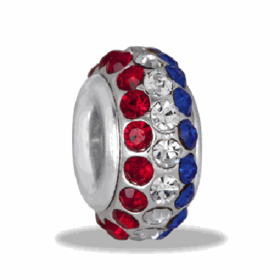 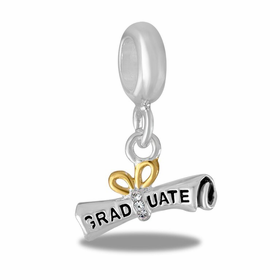 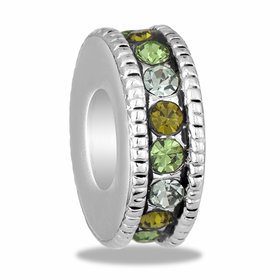 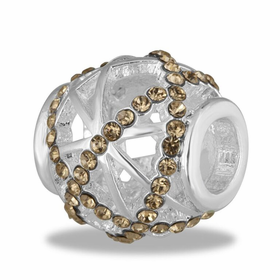 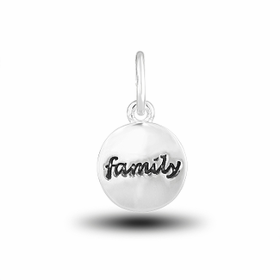 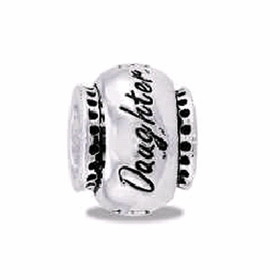 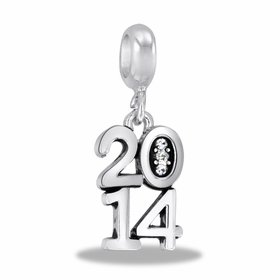 The DaVinci Beads Hallmark collection offers a unique and memorable way to celebrate all of life�s special moments! 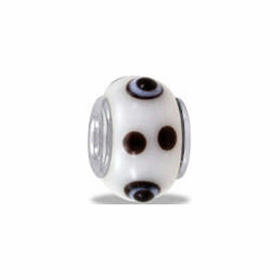 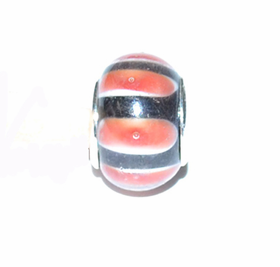 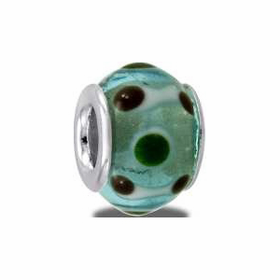 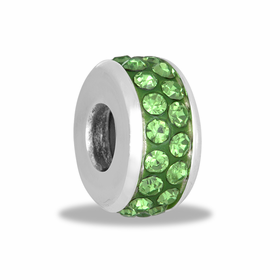 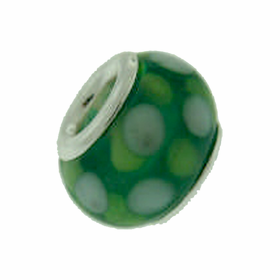 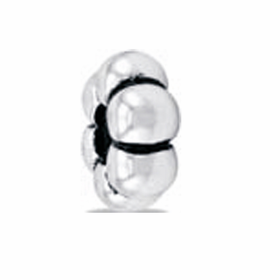 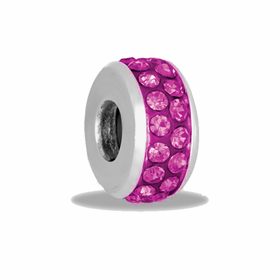 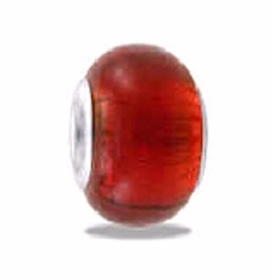 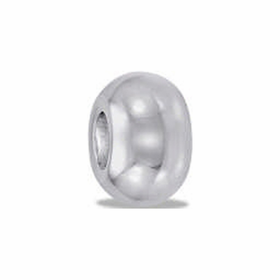 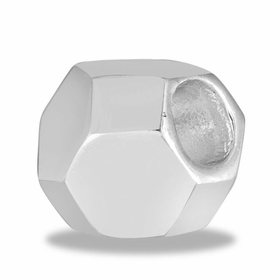 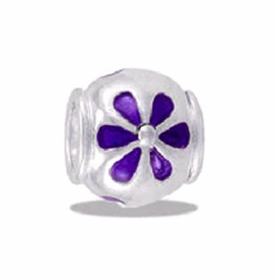 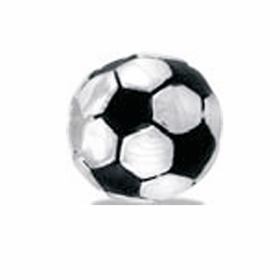 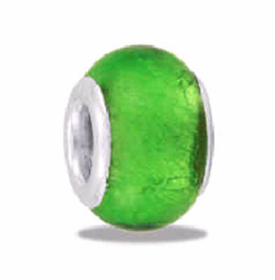 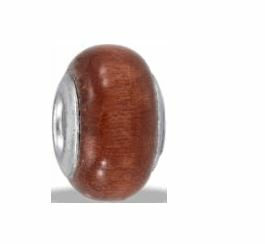 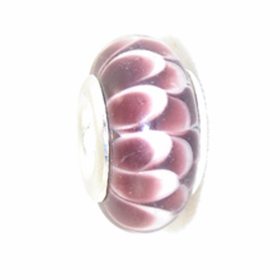 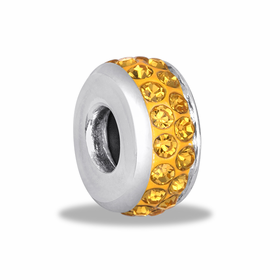 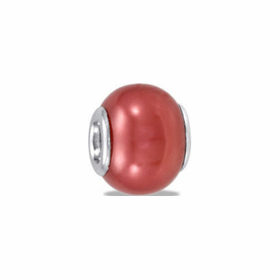 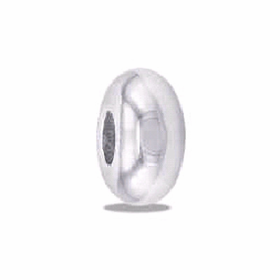 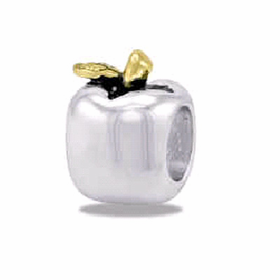 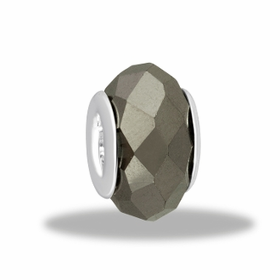 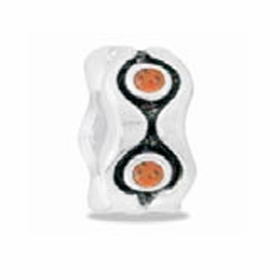 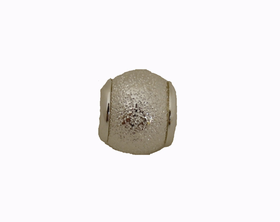 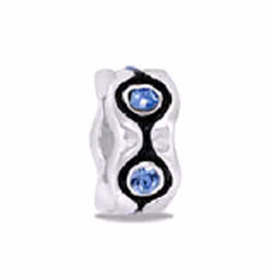 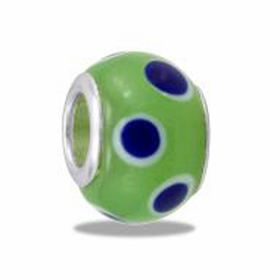 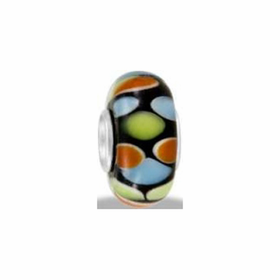 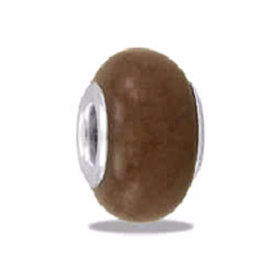 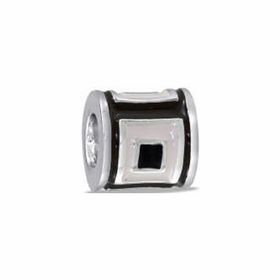 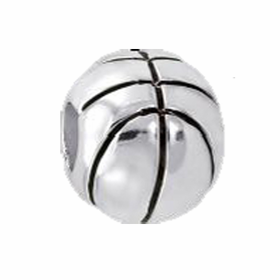 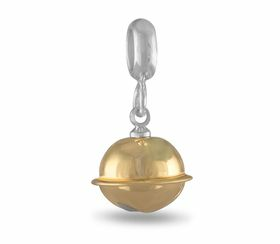 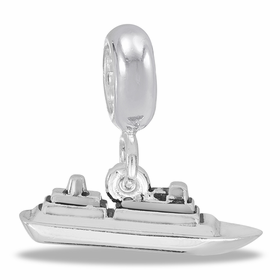 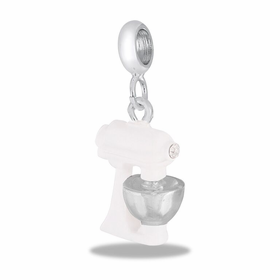 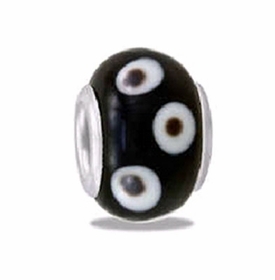 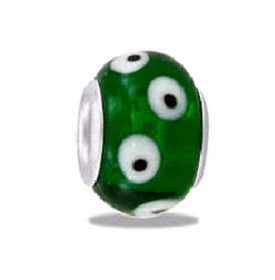 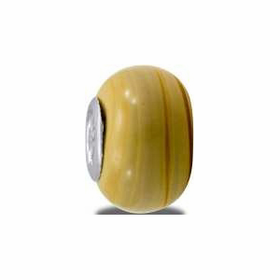 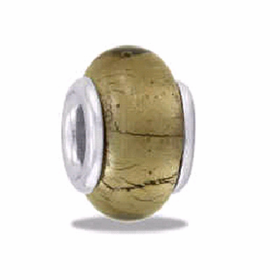 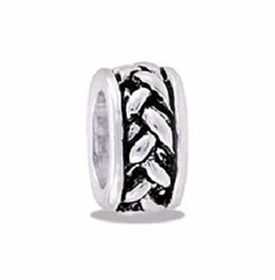 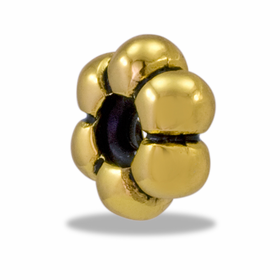 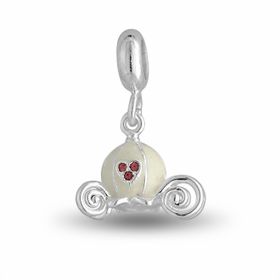 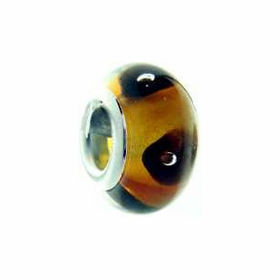 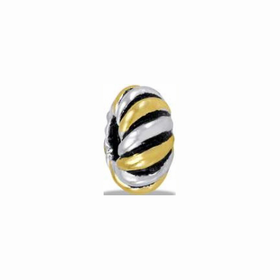 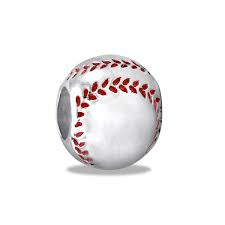 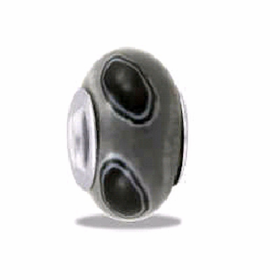 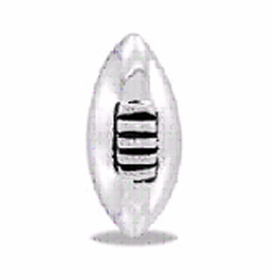 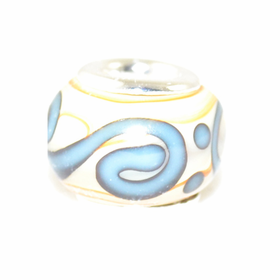 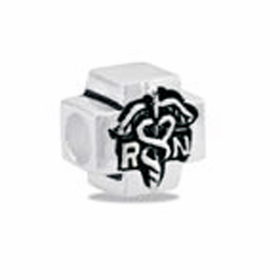 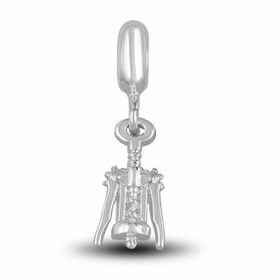 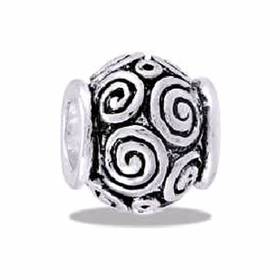 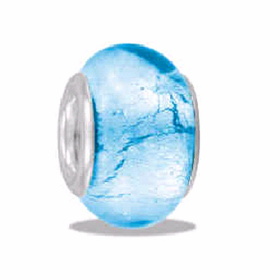 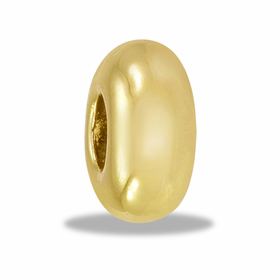 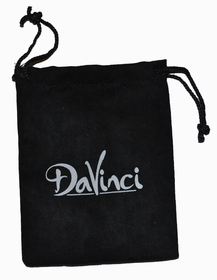 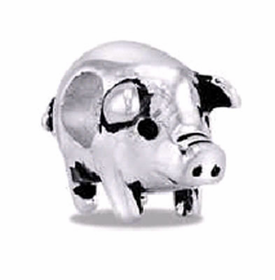 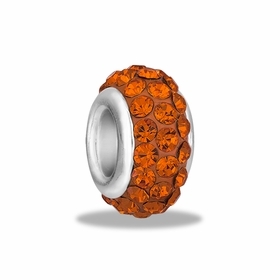 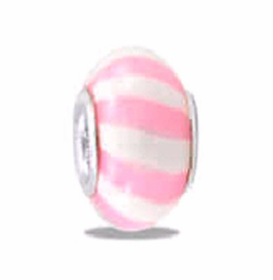 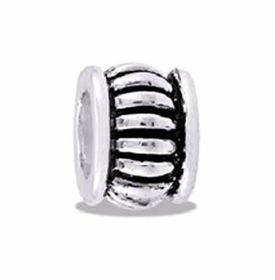 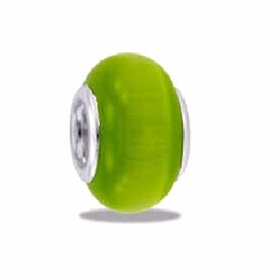 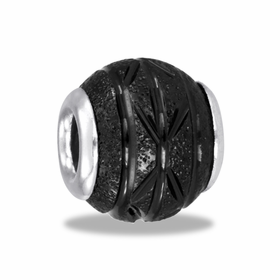 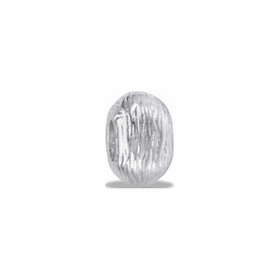 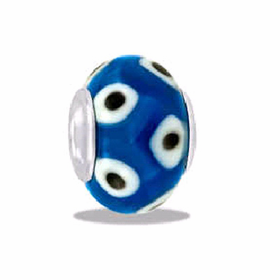 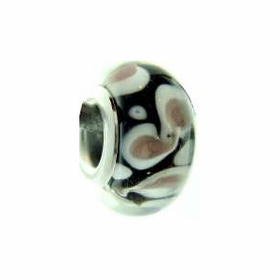 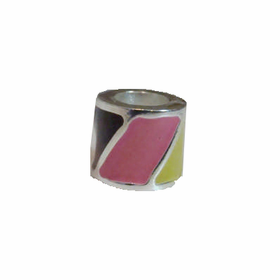 All DaVinci beads are nickel free. 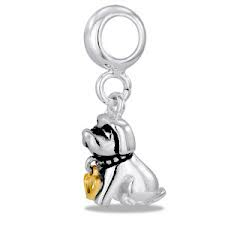 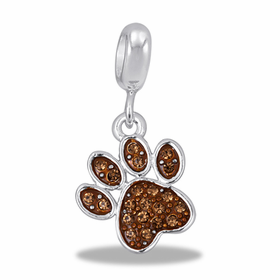 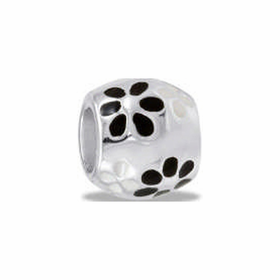 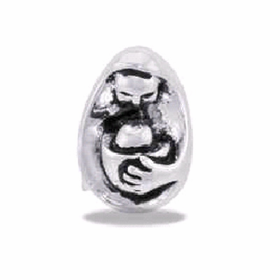 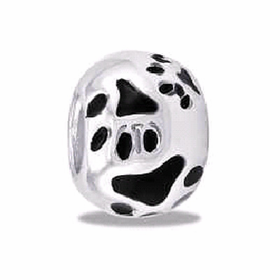 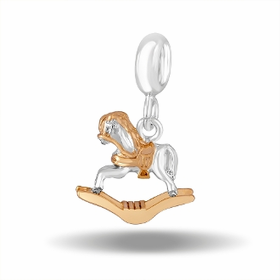 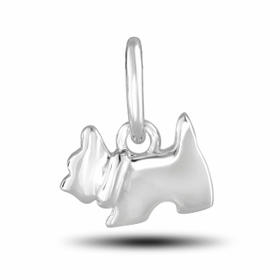 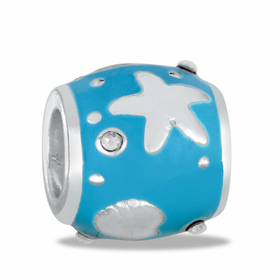 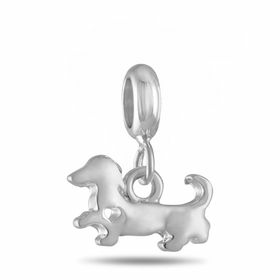 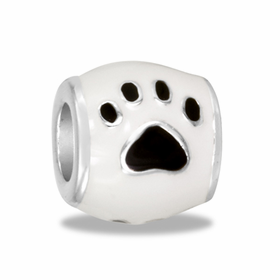 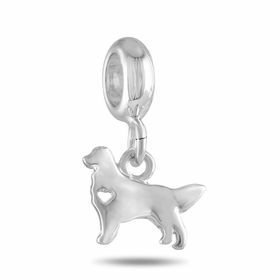 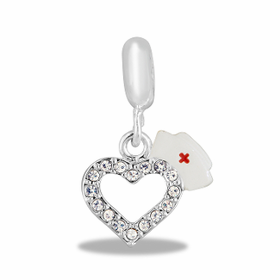 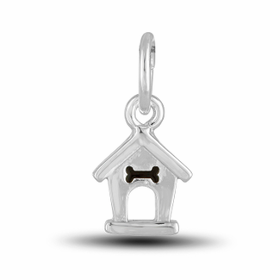 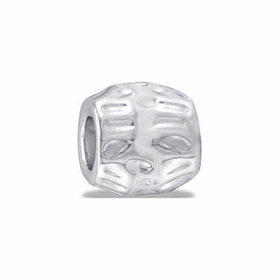 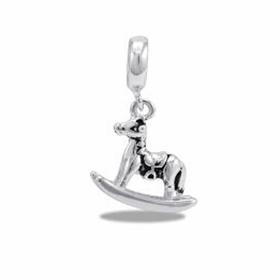 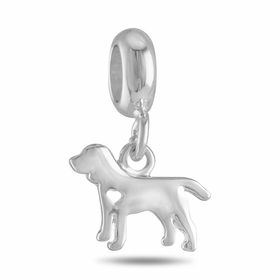 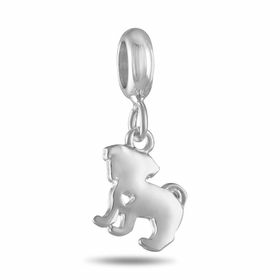 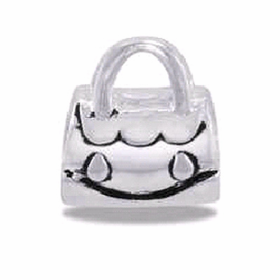 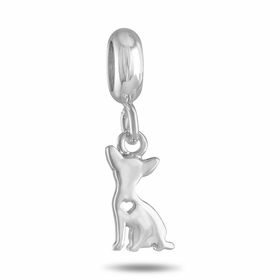 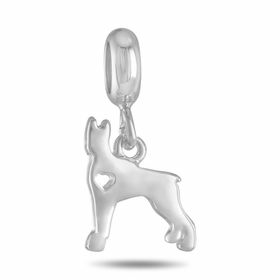 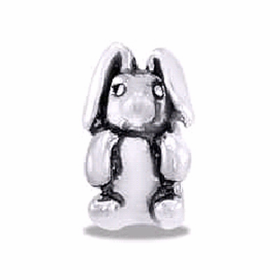 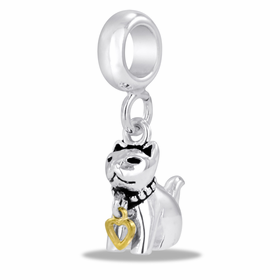 Davinci Beads "My Child Has Paws"